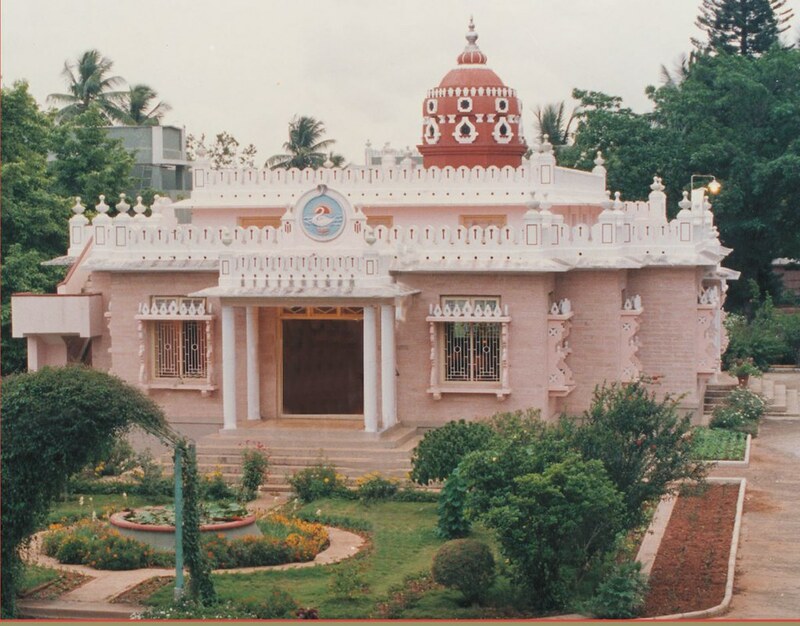 This ashrama was started elsewhere in 1925 and shifted to its present site in 1931. 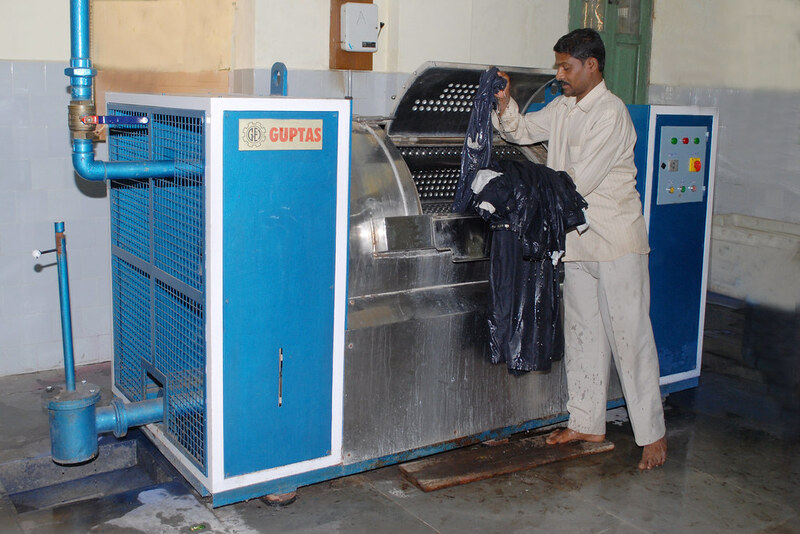 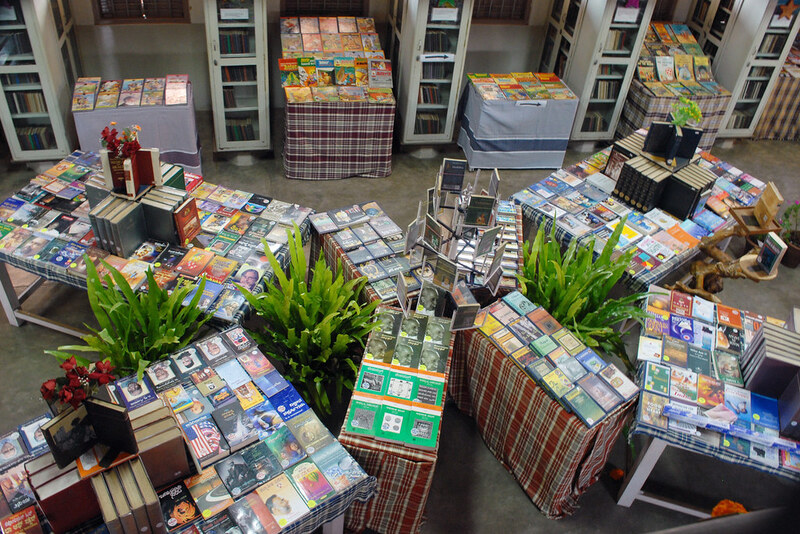 Publication of Kannada books: 7 new titles and 129 reprints were brought out this year. 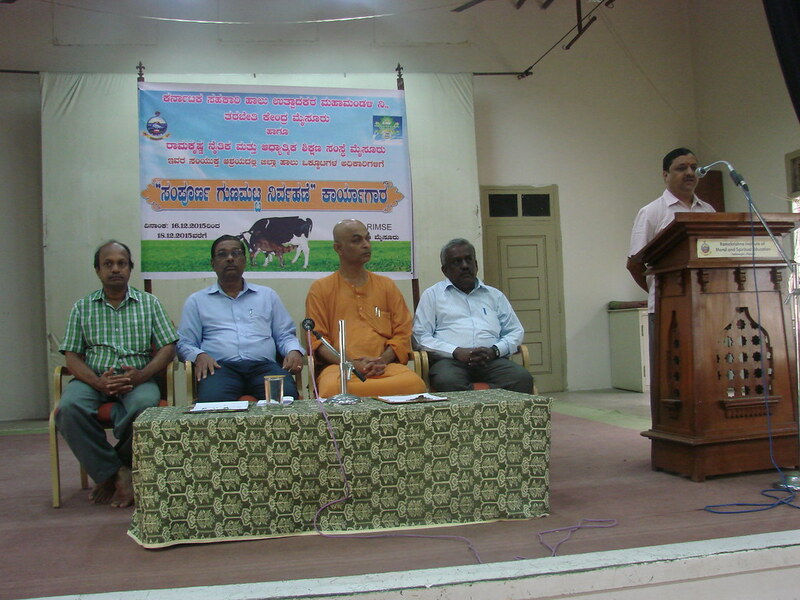 Publication of a monthly magazine in Kannada, titled Viveka Prabha (17th year with 14,336 subscribers). 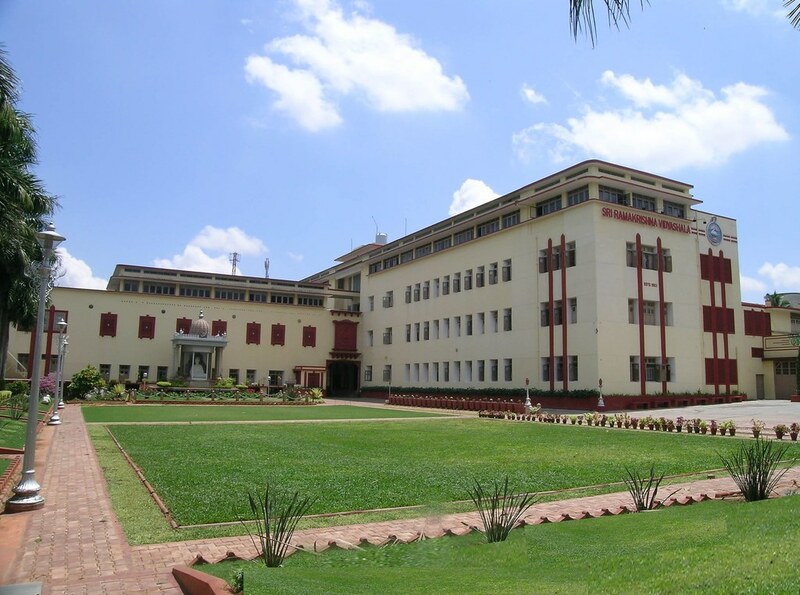 A library with 18,630 books and 58 newspapers and periodicals. 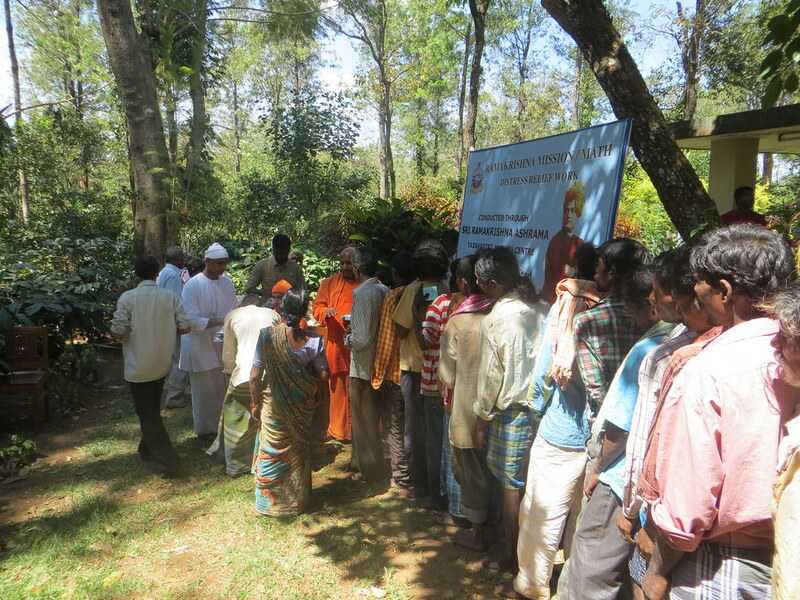 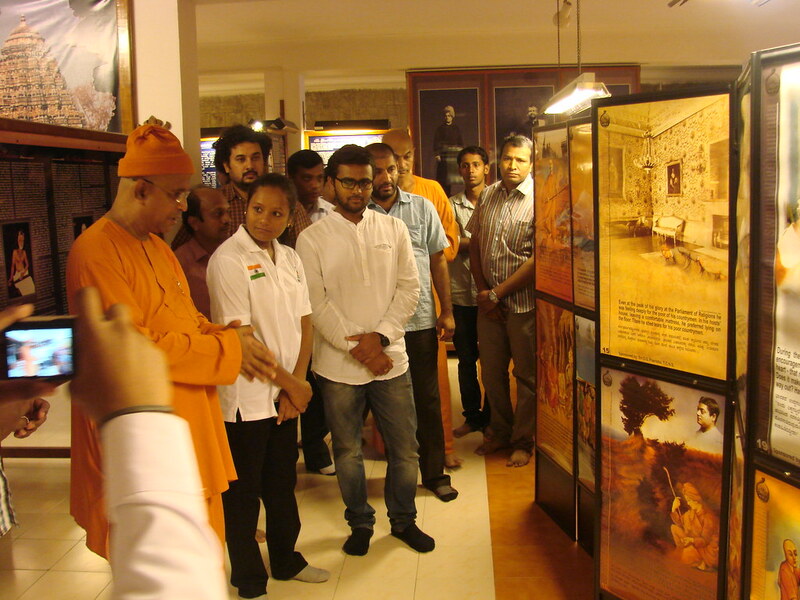 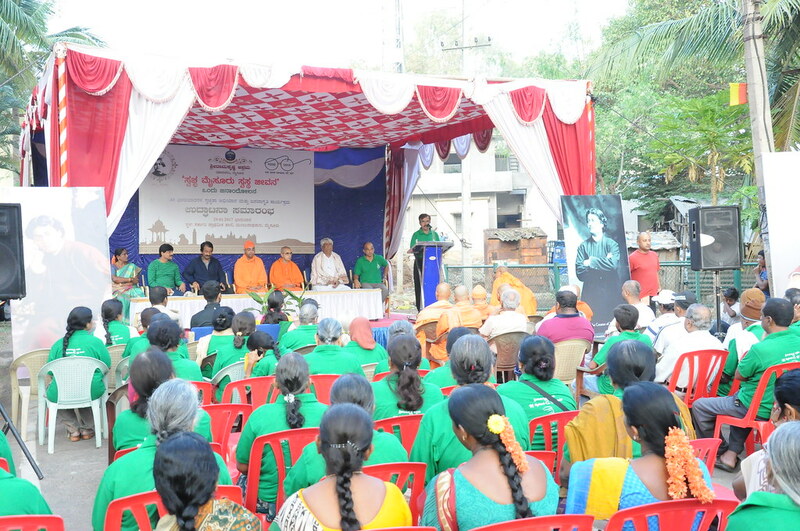 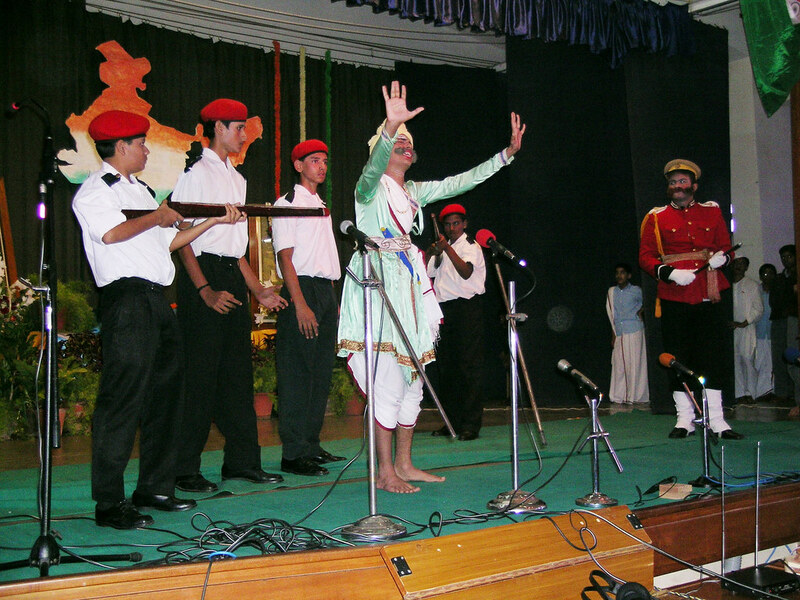 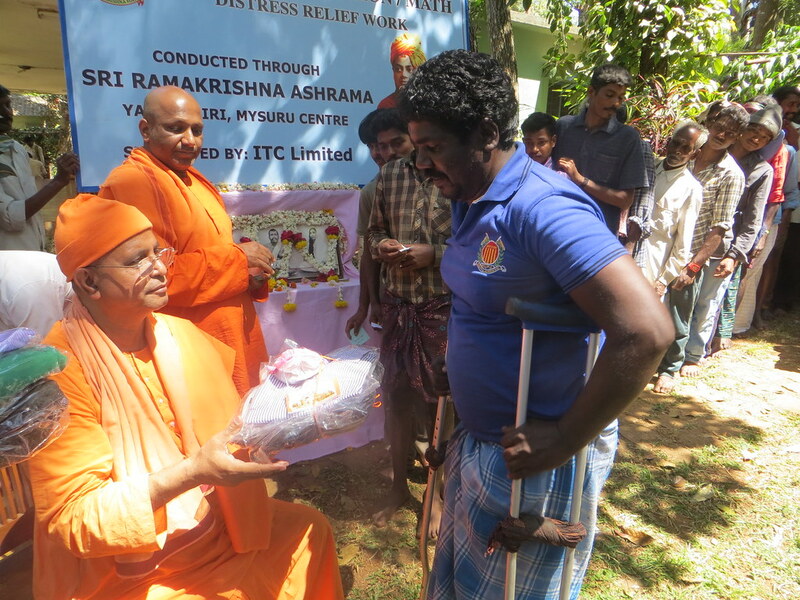 Jnanavahini project, under which discourses, personality development programmes, educational and religious exhibitions, etc were organized in various districts of Karnataka with the help of audio-visual aids. 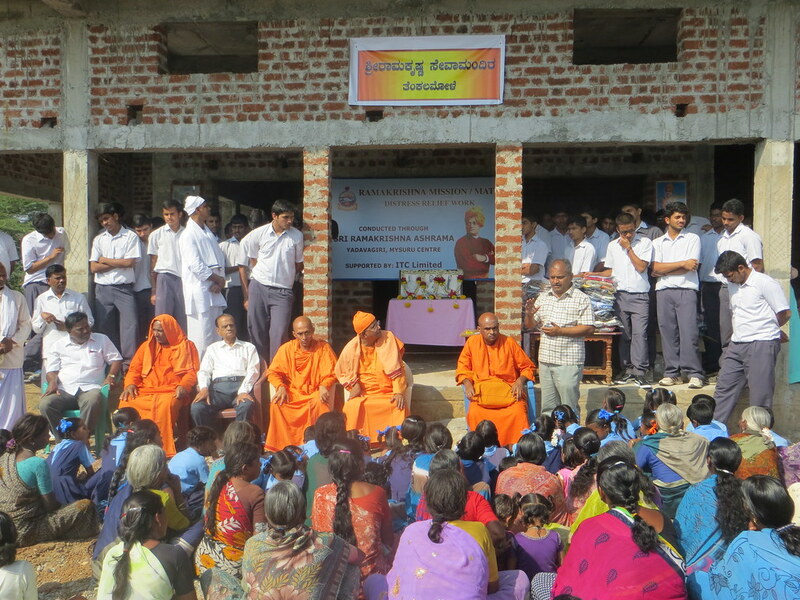 Rural and tribal welfare work in the tribal belt of Chamarajanagar district, concentrating mainly on agriculture, improving the irrigation system, and providing other inputs. 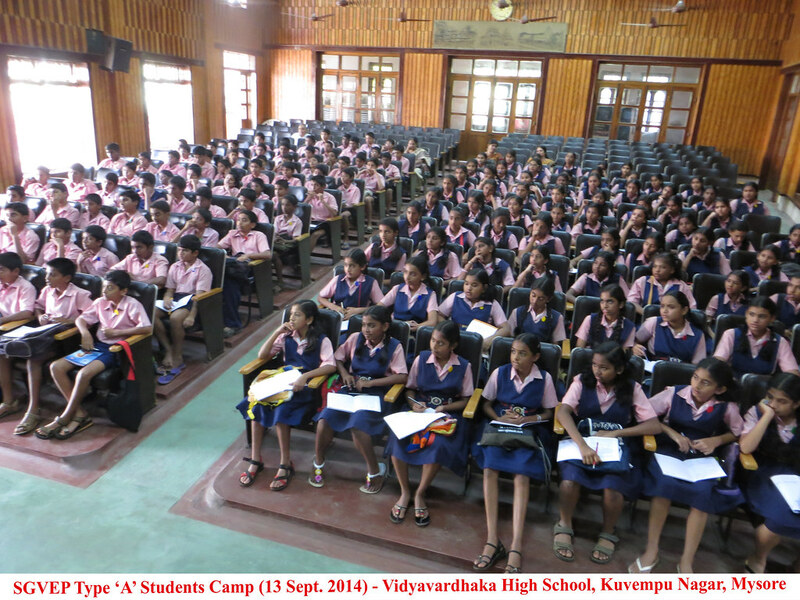 Free coaching classes for academically and economically weaker students (390 students this year). 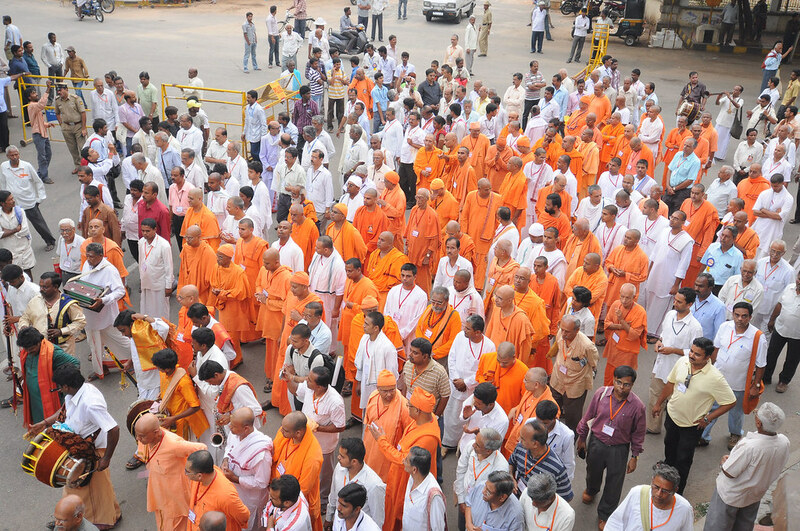 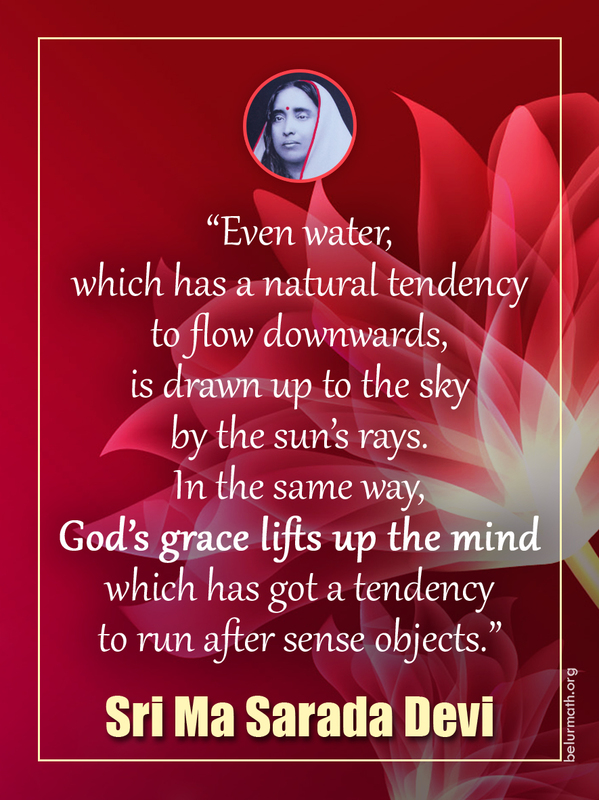 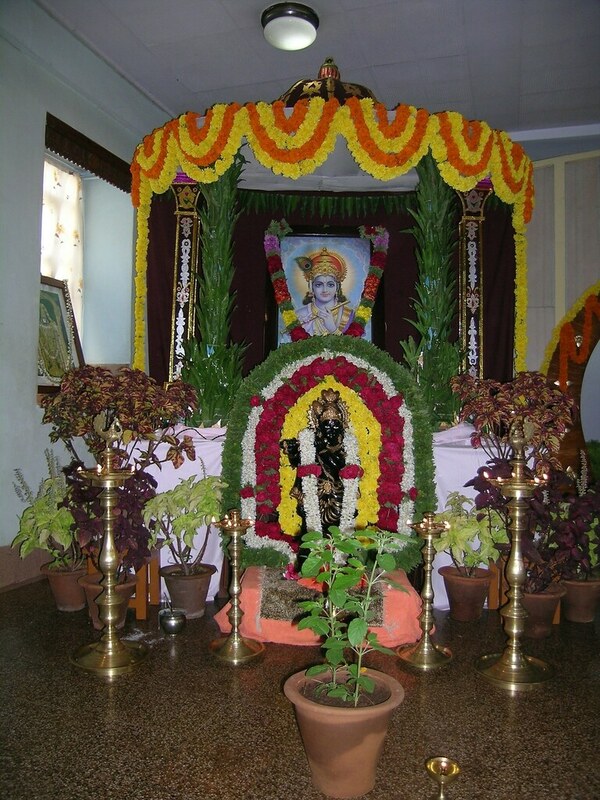 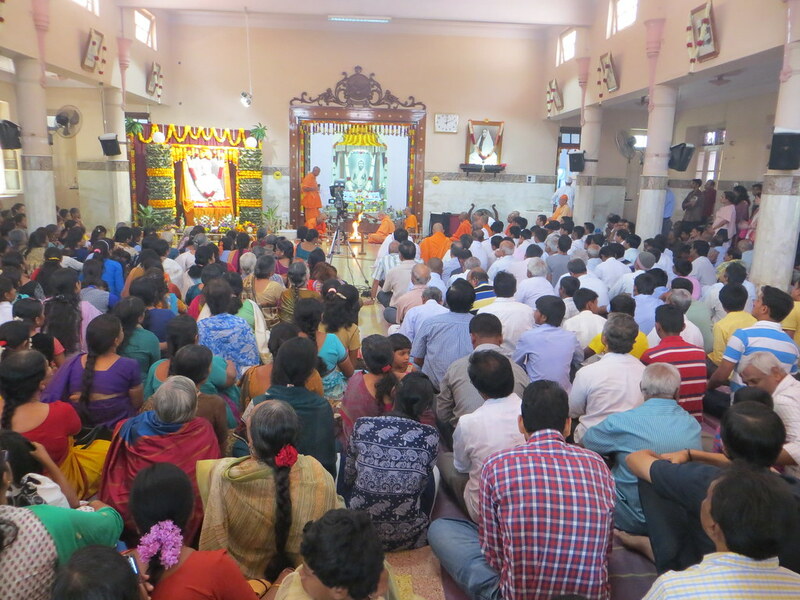 Regular worship and bhajans, and fortnightly Ramnam Sankirtan. 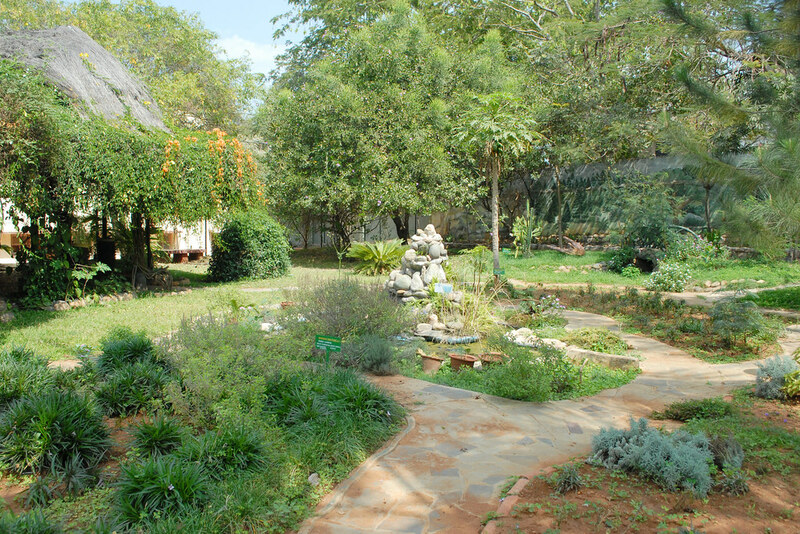 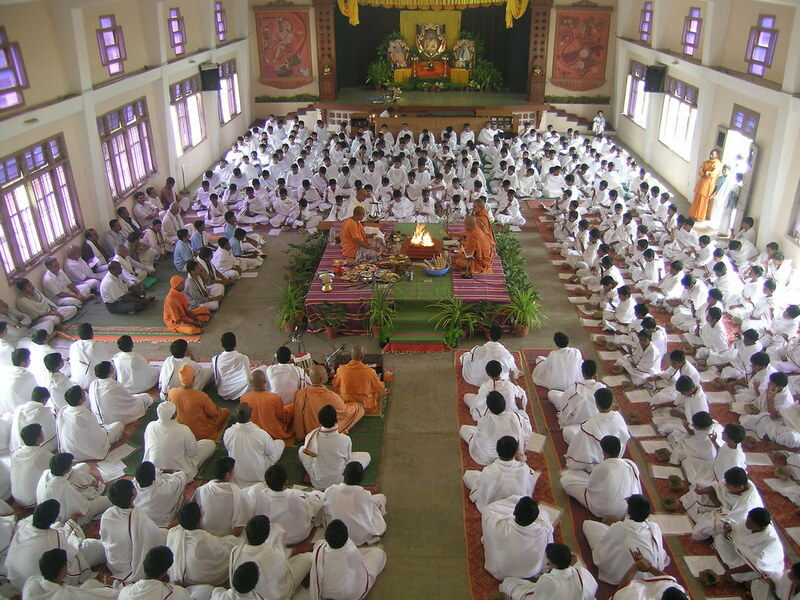 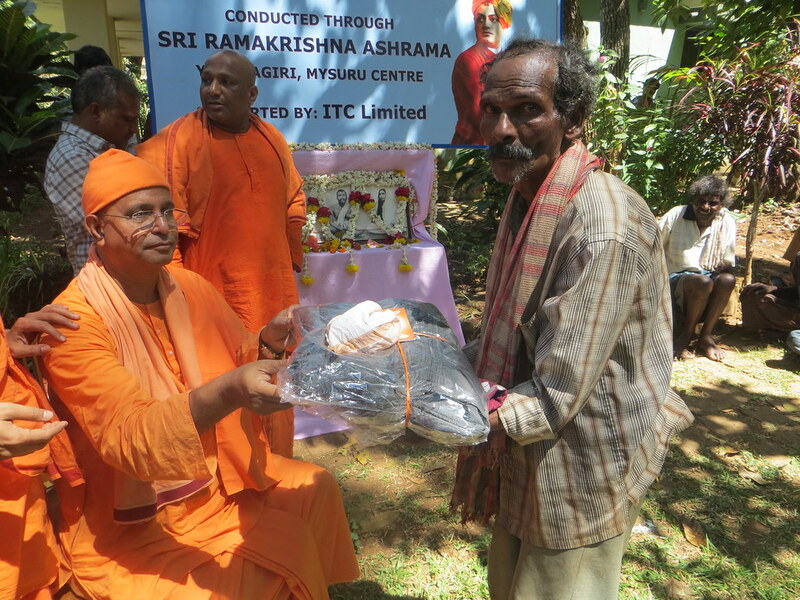 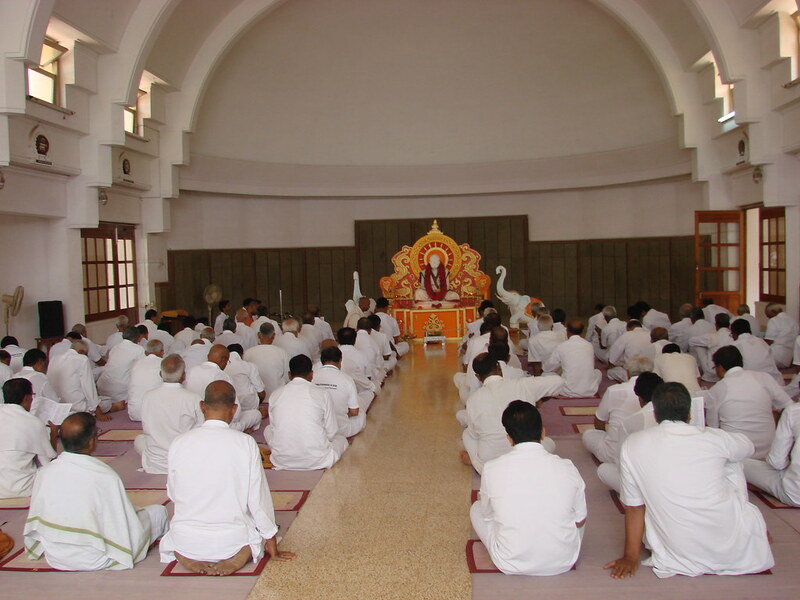 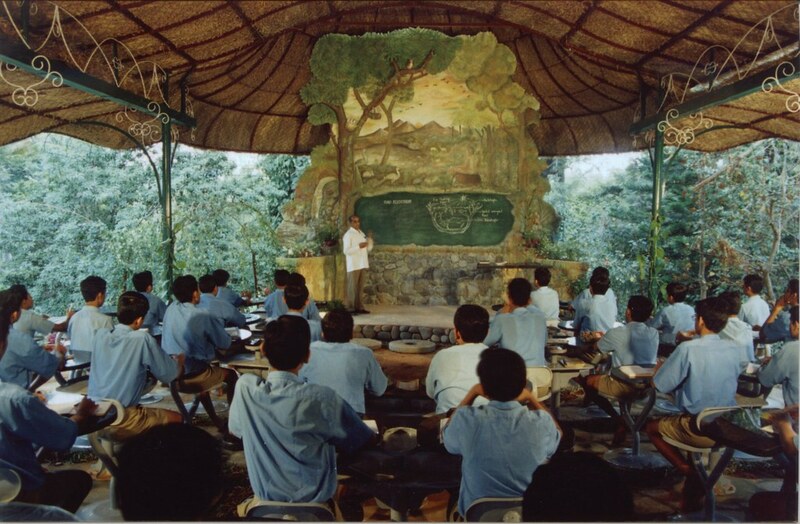 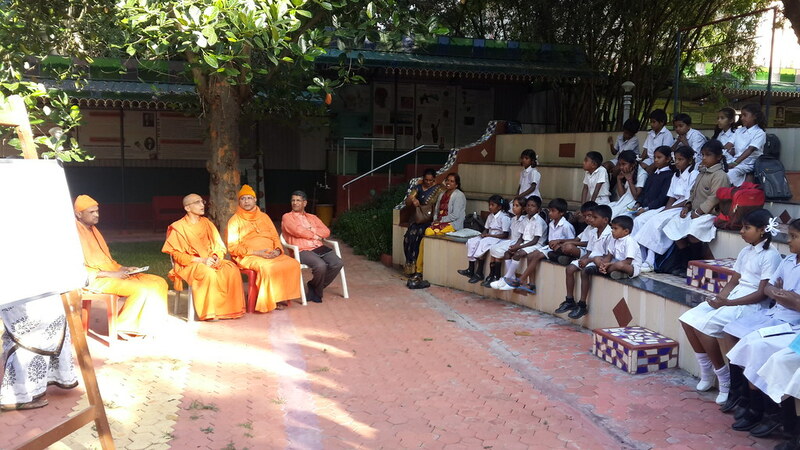 Religious classes, occasional lectures in and outside the city, and retreats for students, devotees, etc. 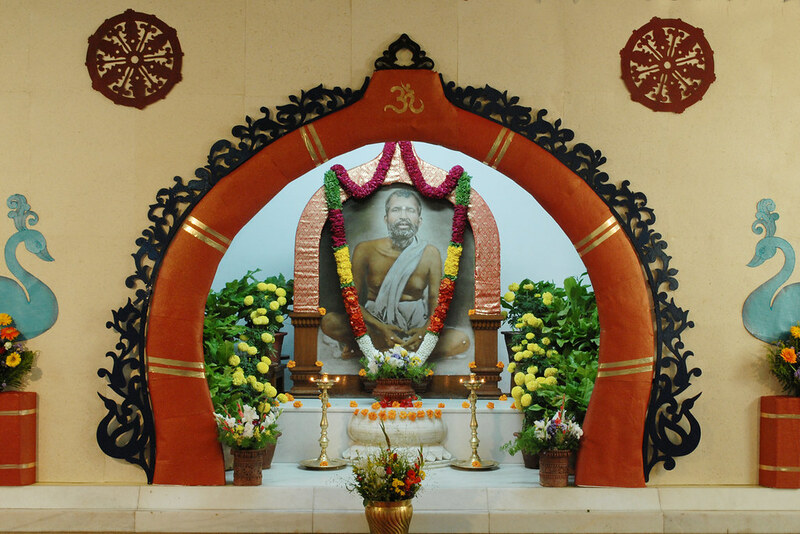 Celebration of the birth anniversaries of Sri Ramakrishna, Holy Mother Sri Sarada Devi, Swami Vivekananda and other spiritual luminaries. 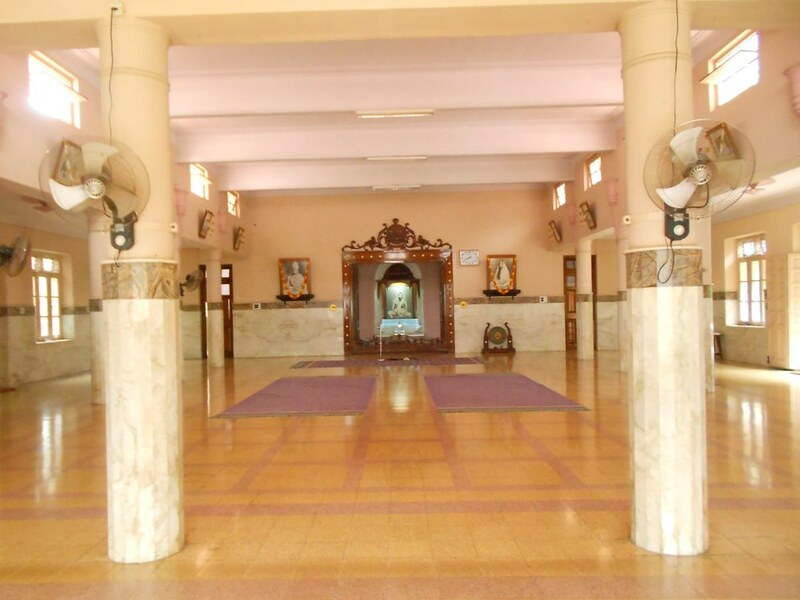 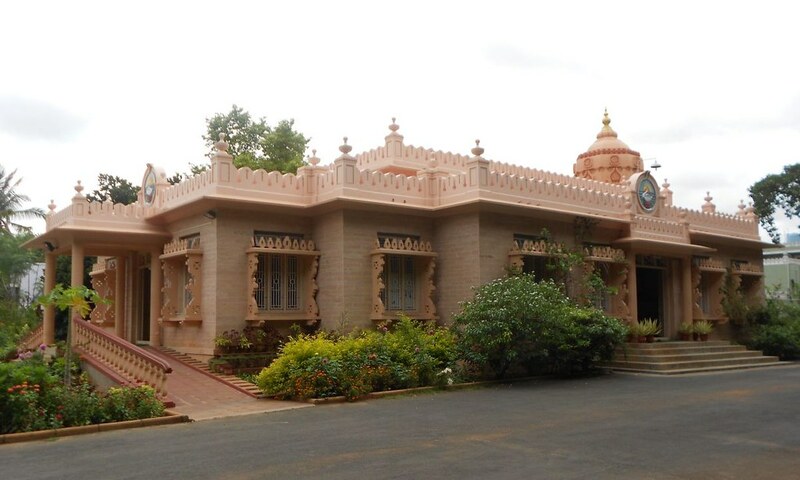 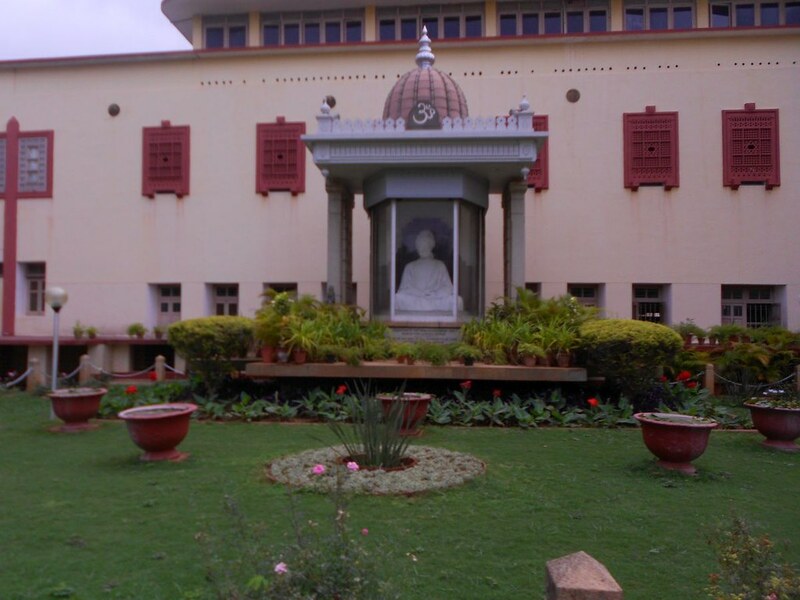 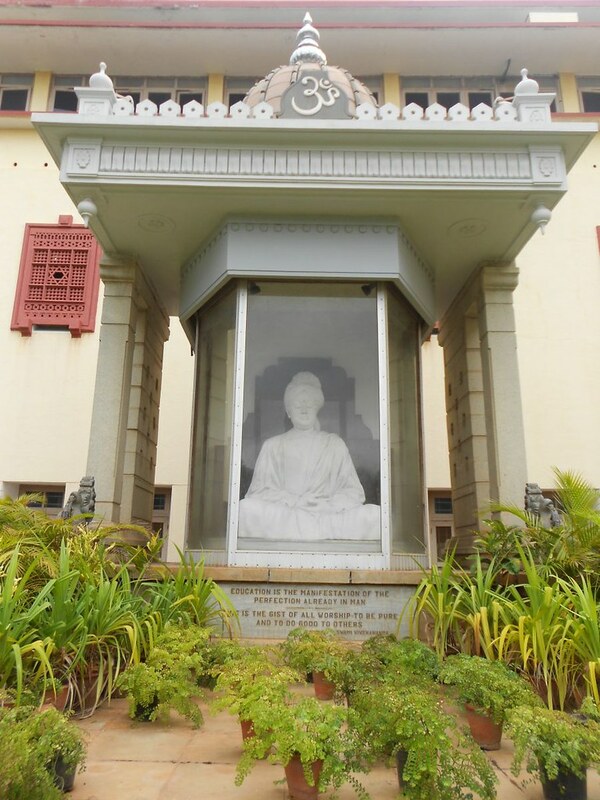 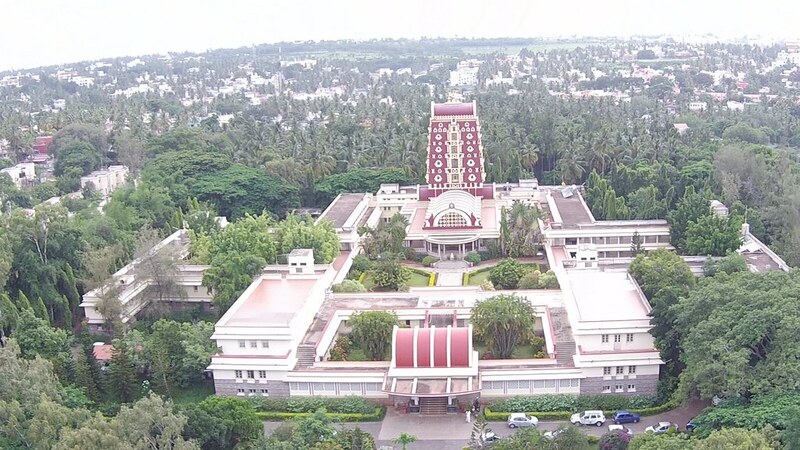 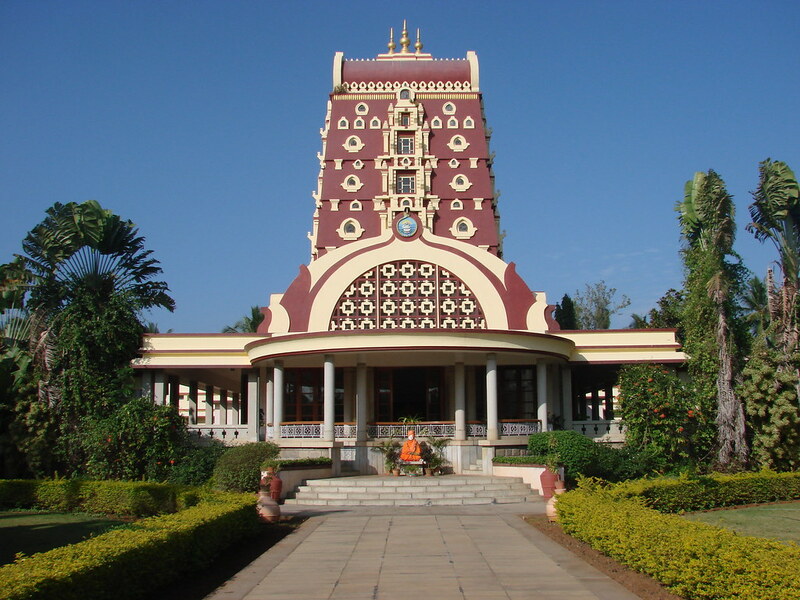 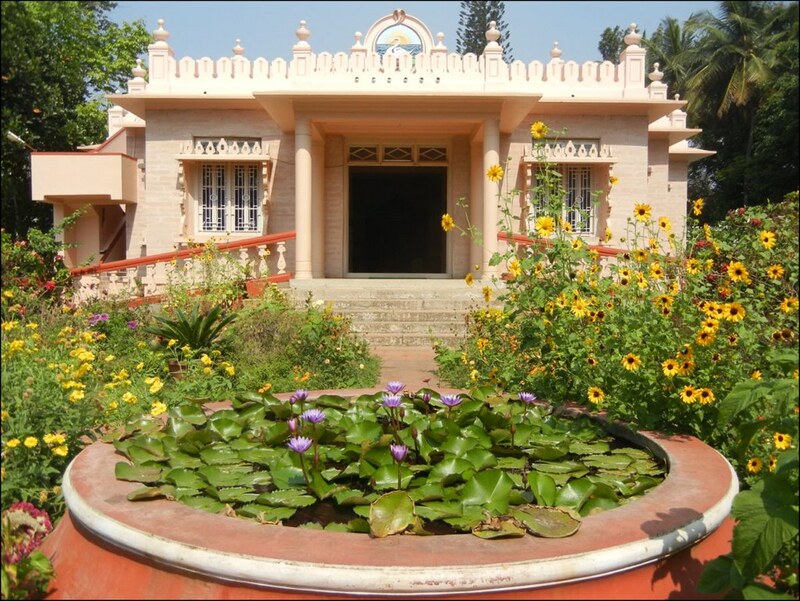 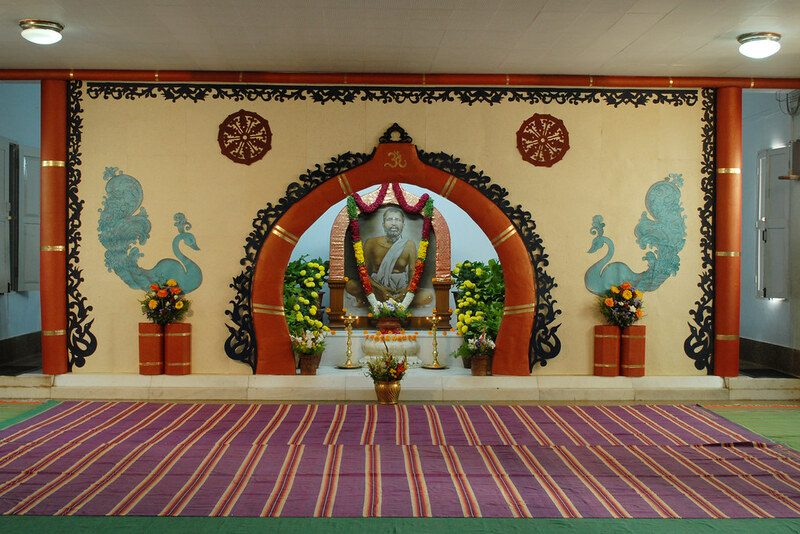 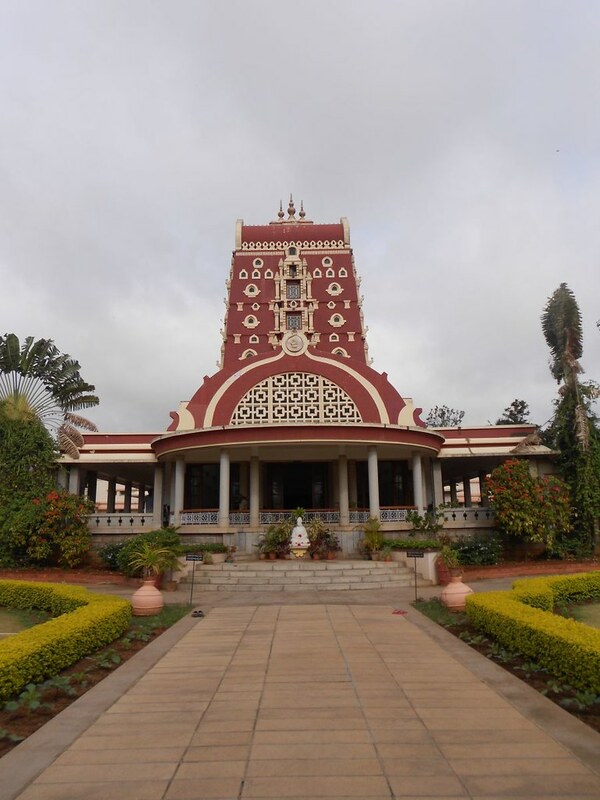 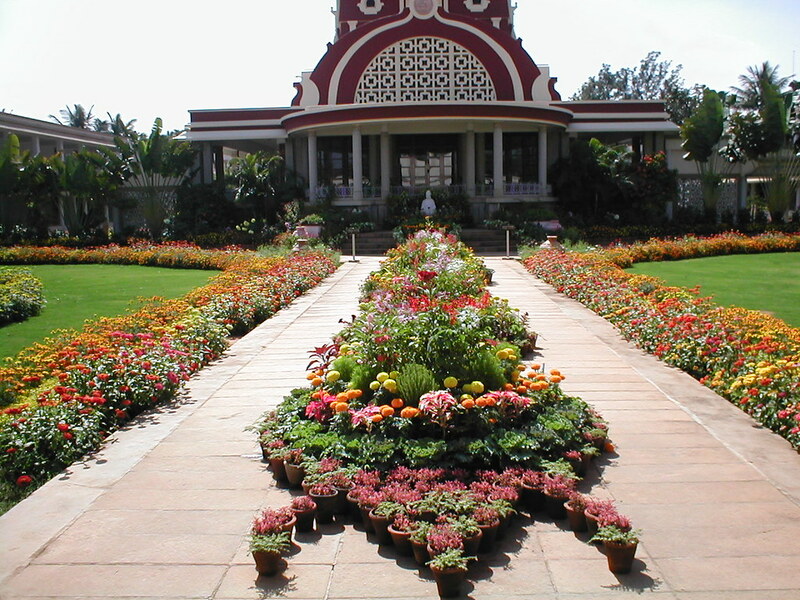 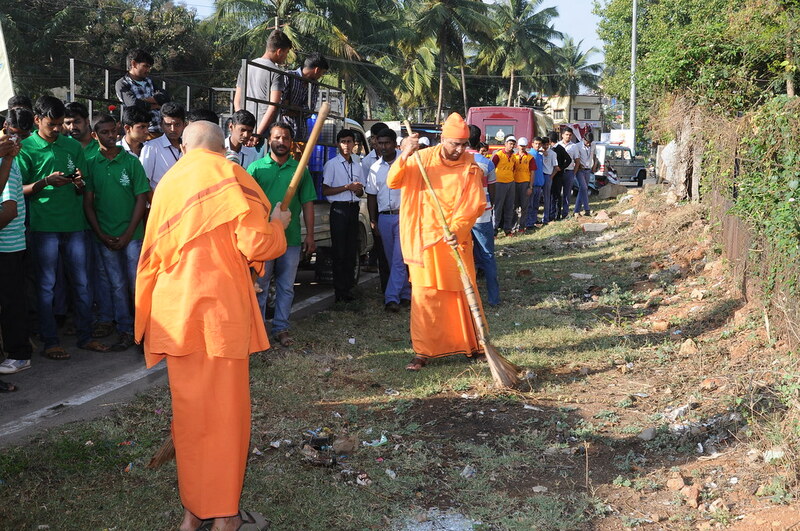 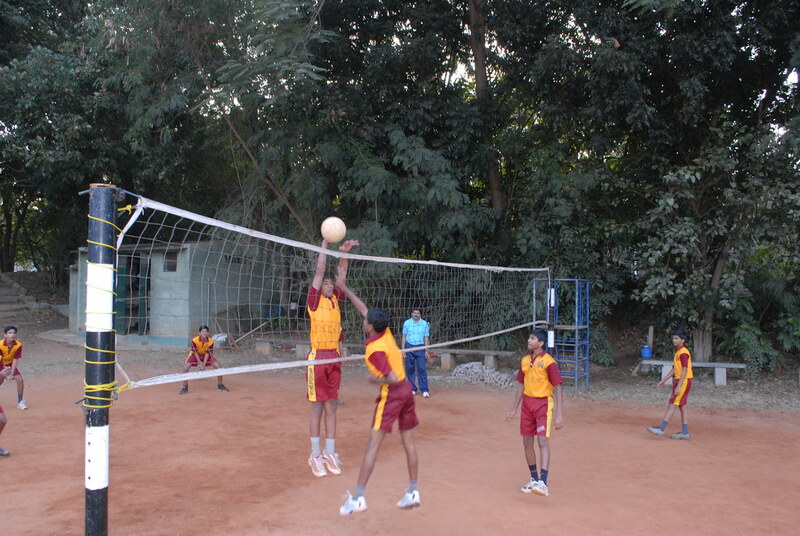 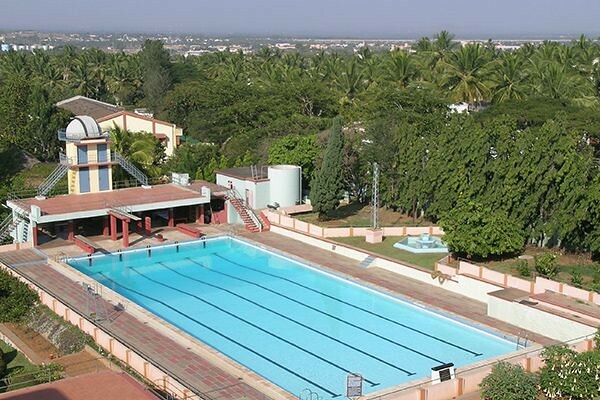 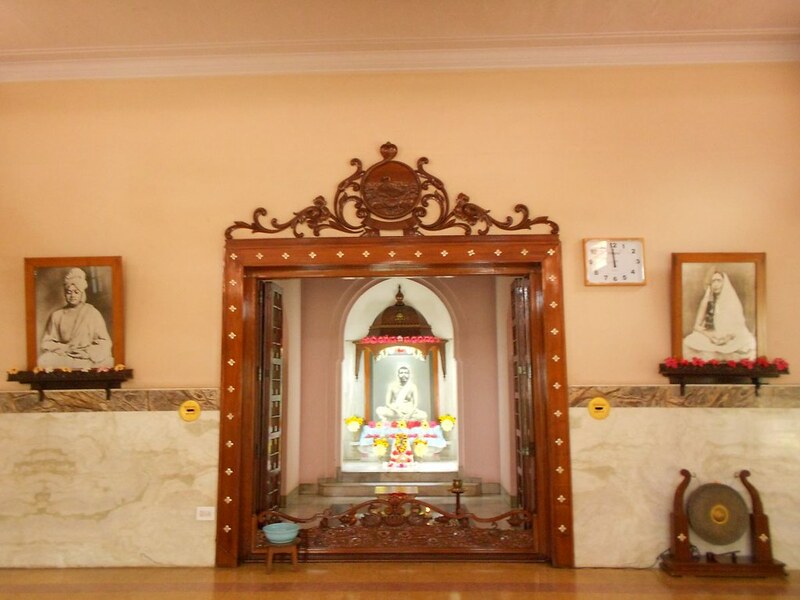 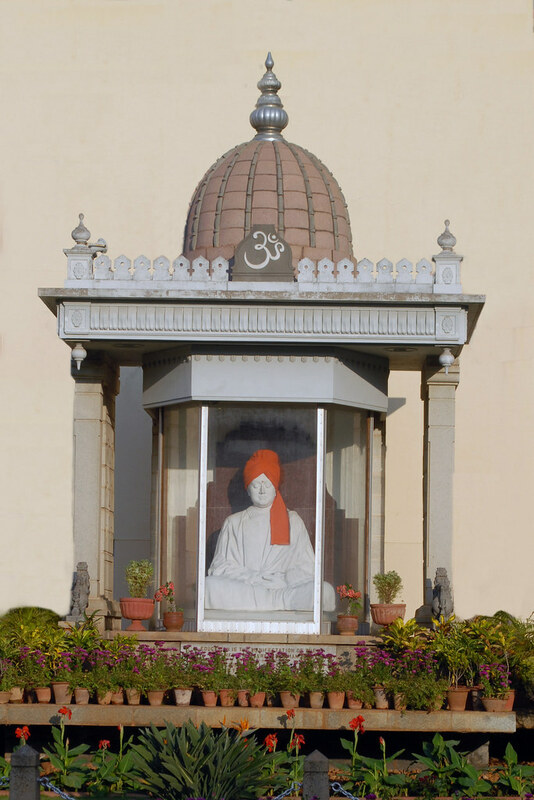 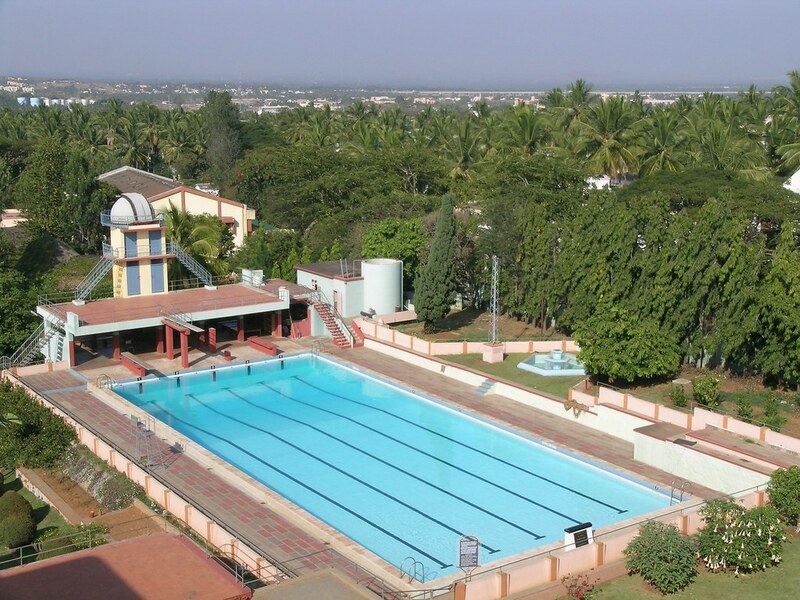 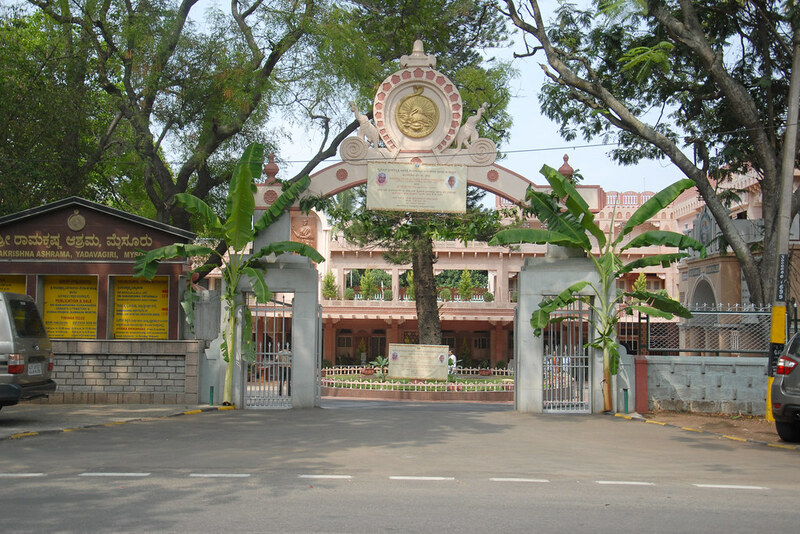 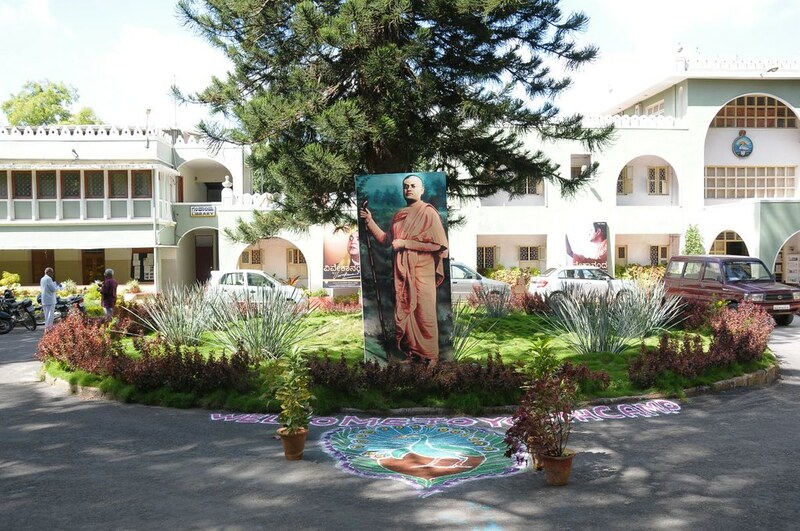 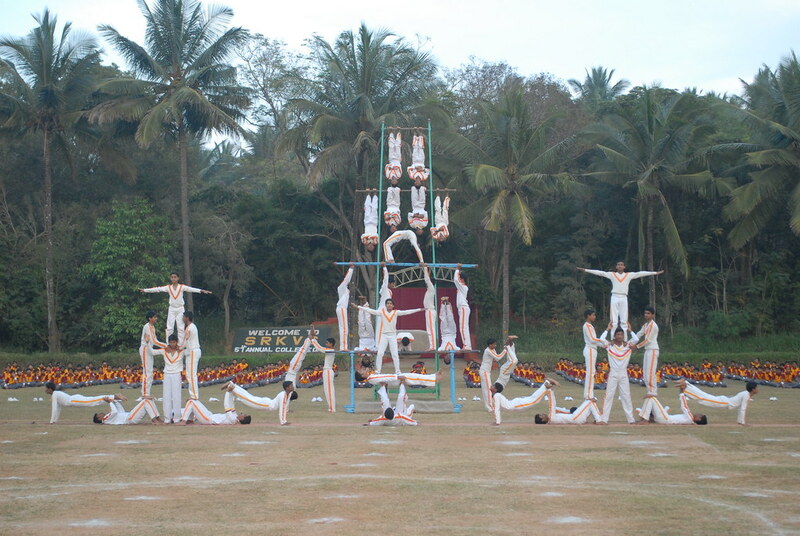 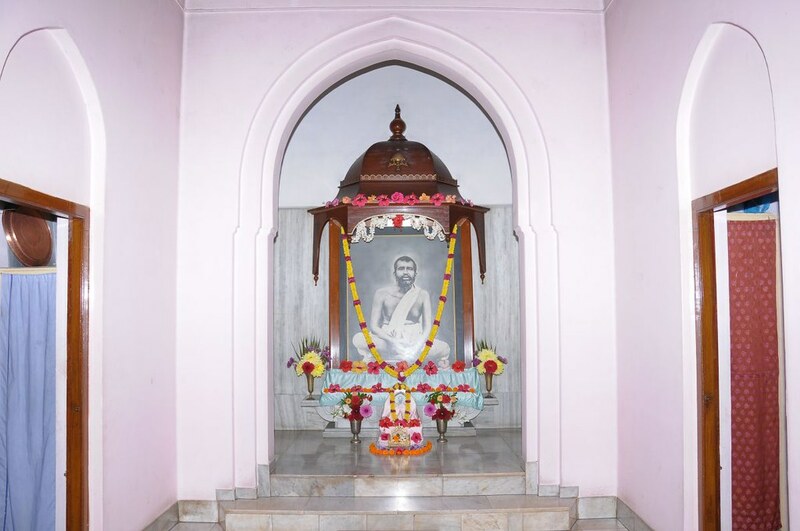 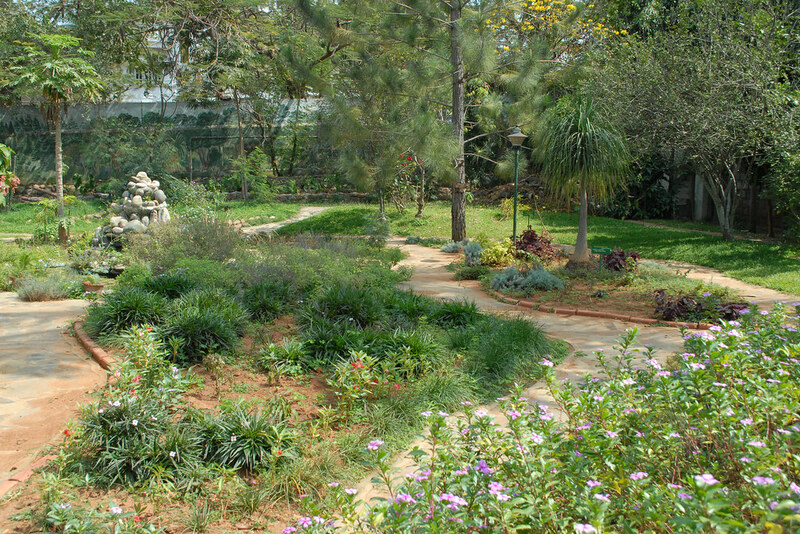 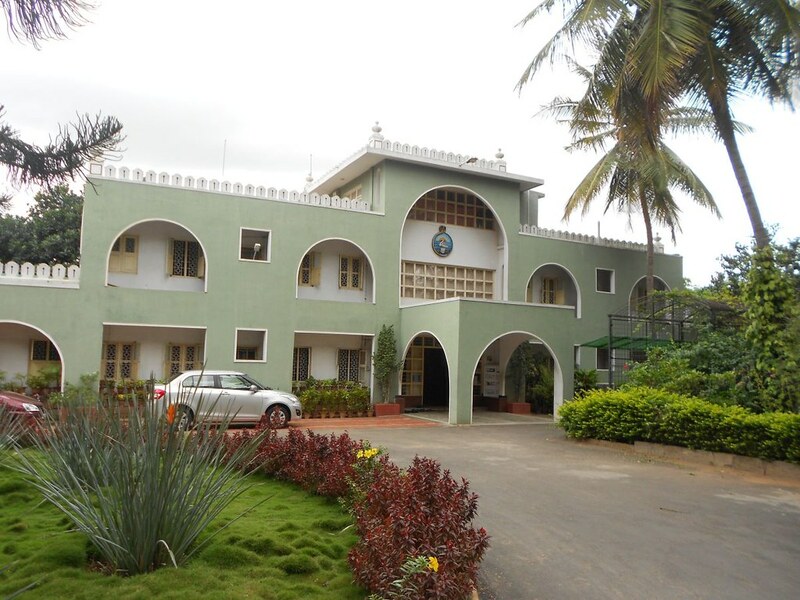 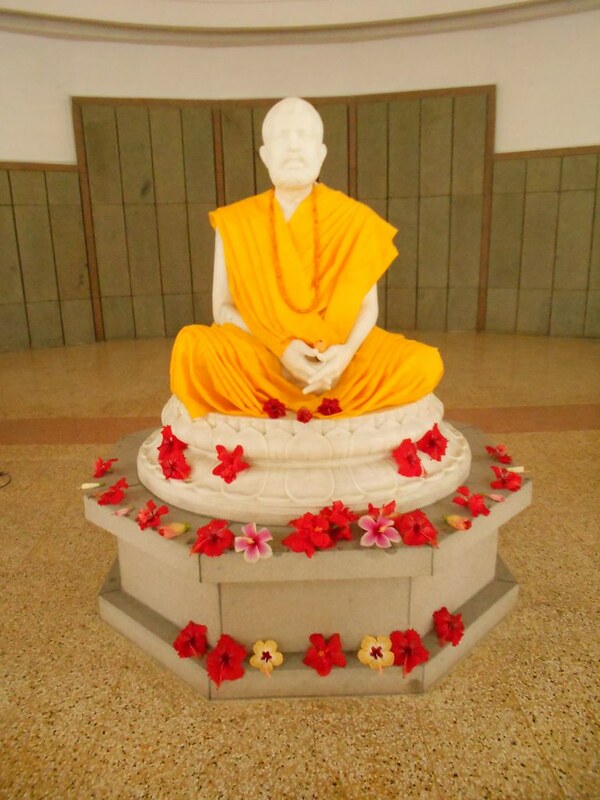 Sri Ramakrishna Vidyashala: It stands on an extensive plot of land, a five-minute walk from the ashrama. 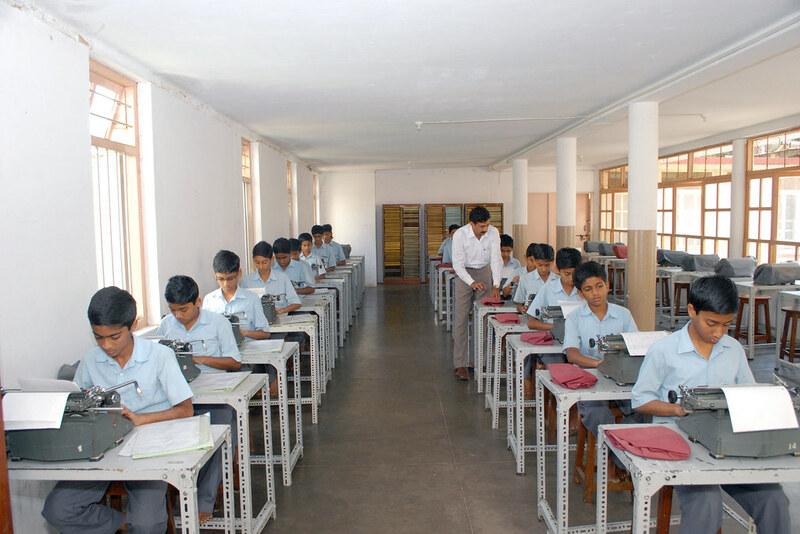 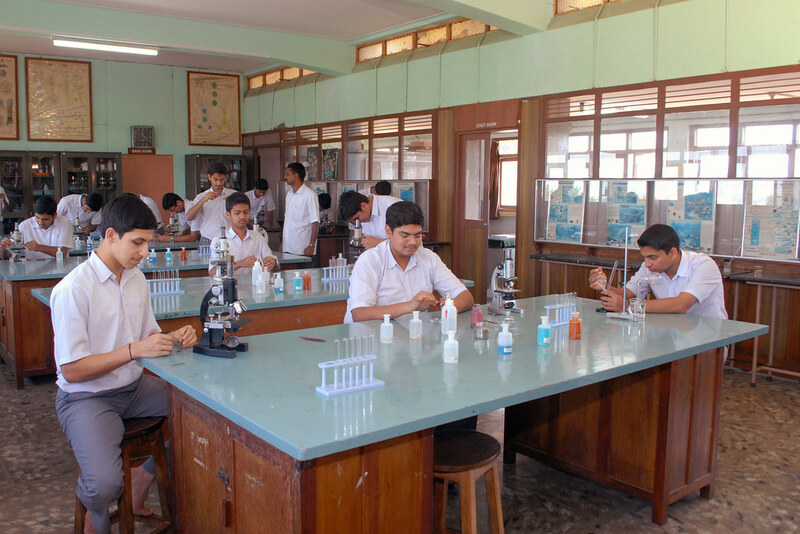 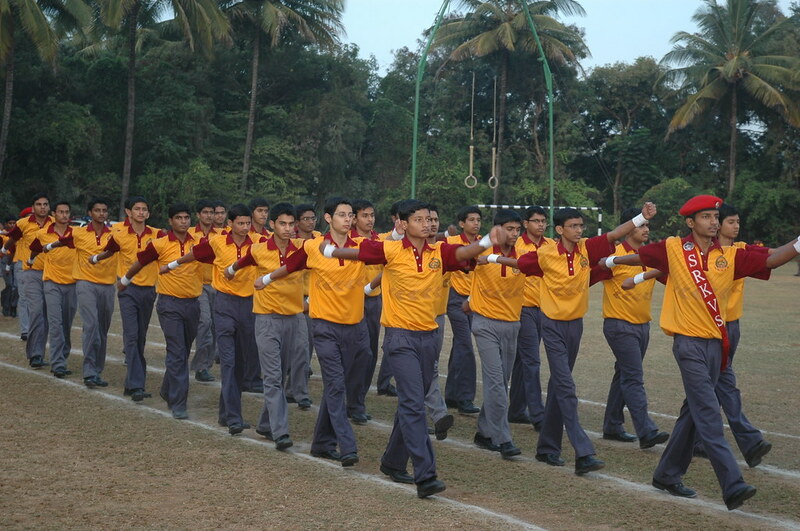 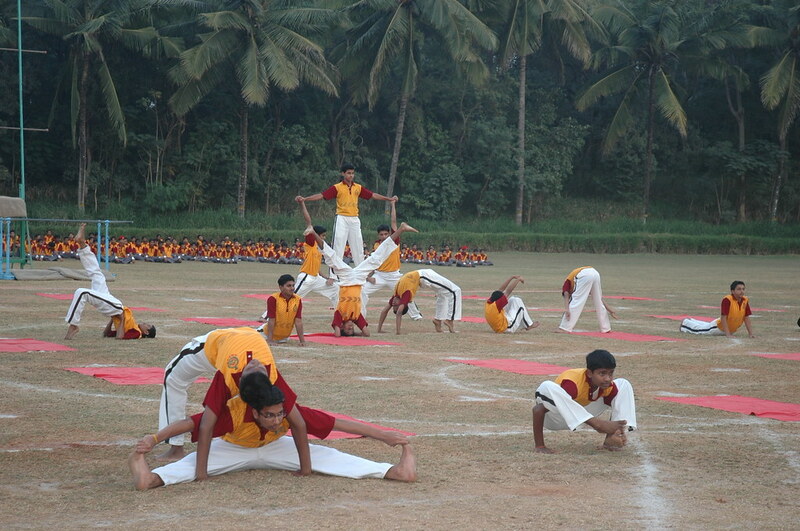 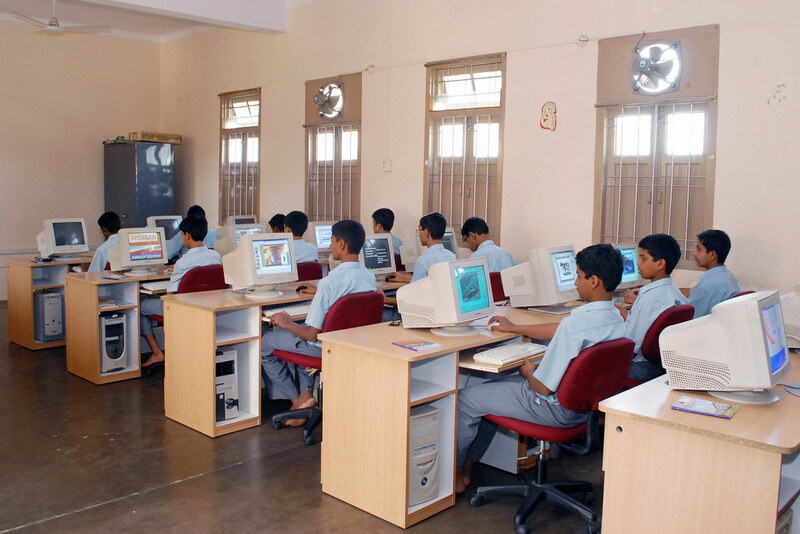 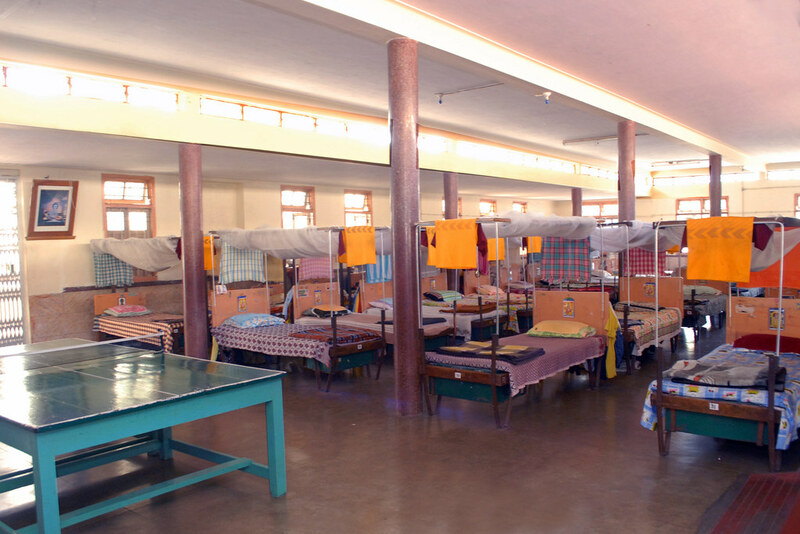 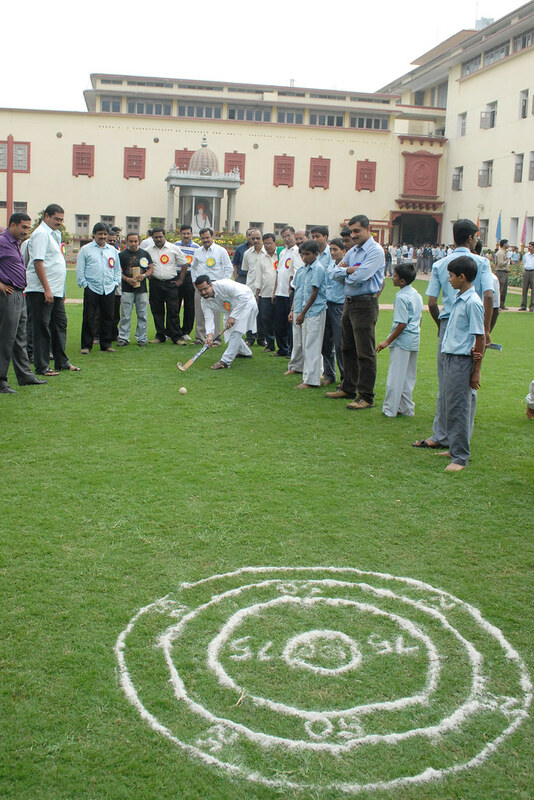 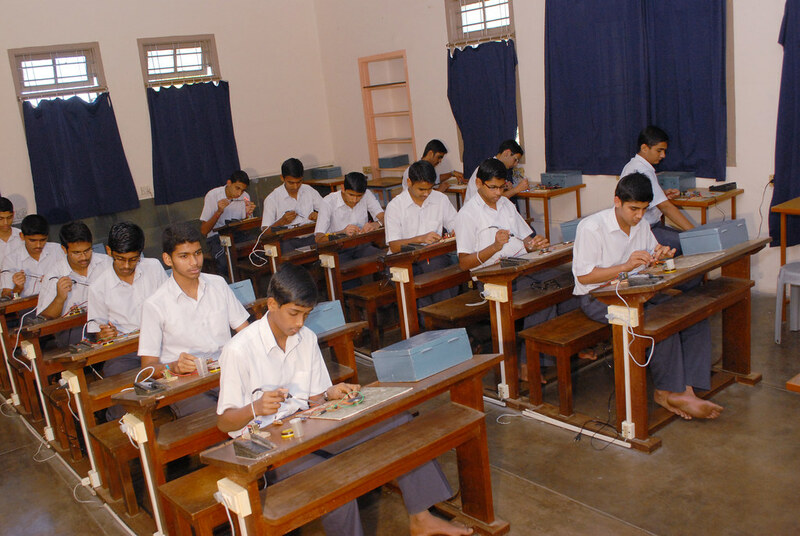 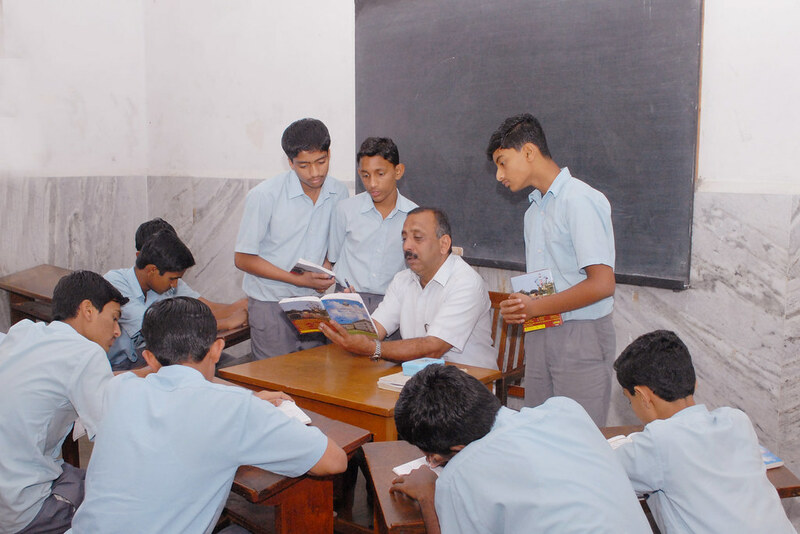 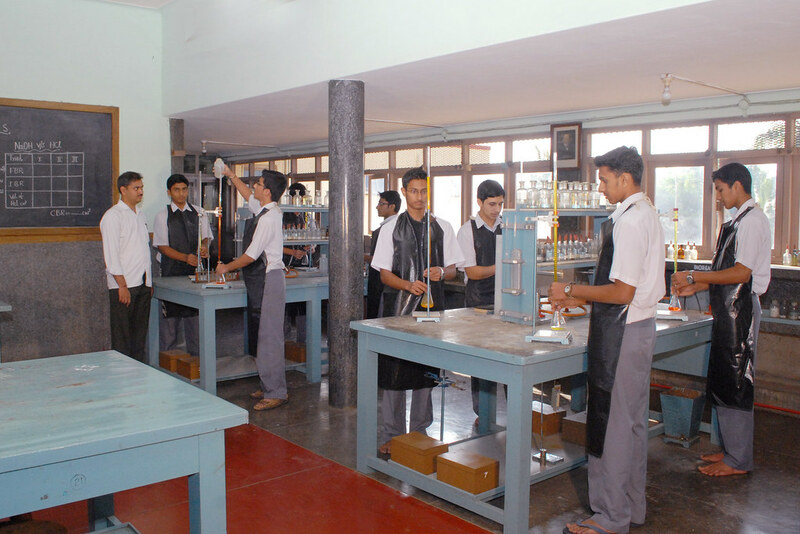 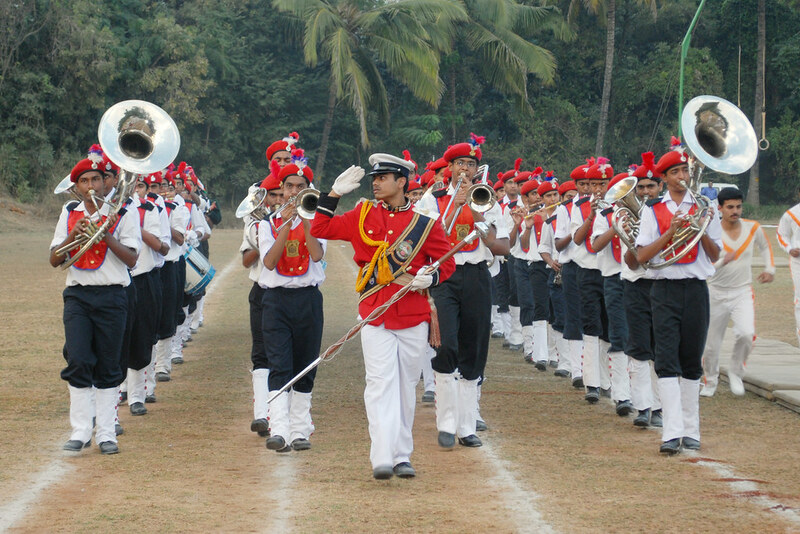 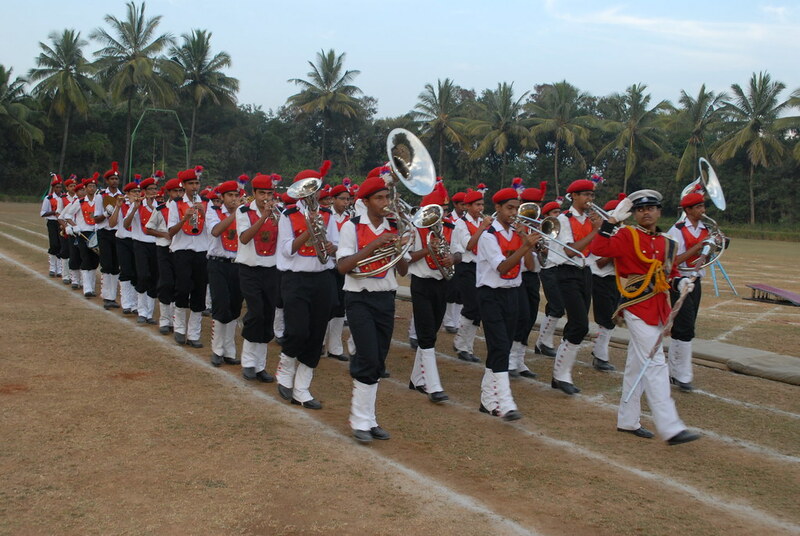 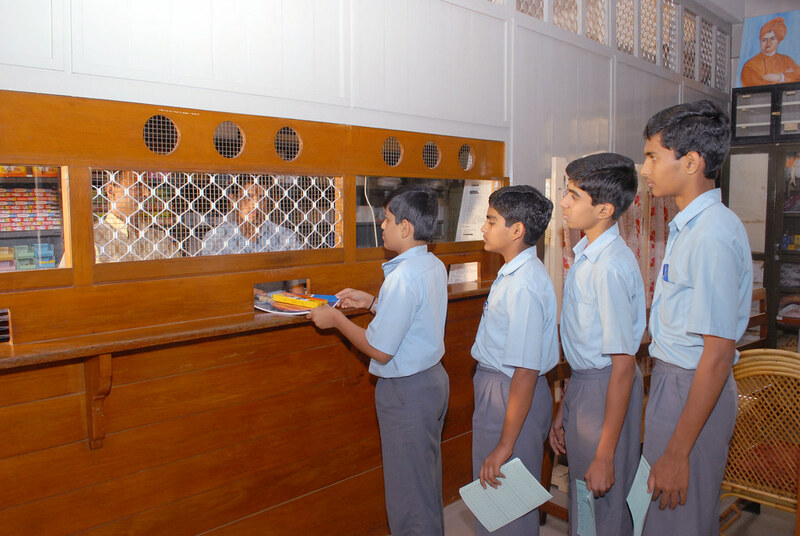 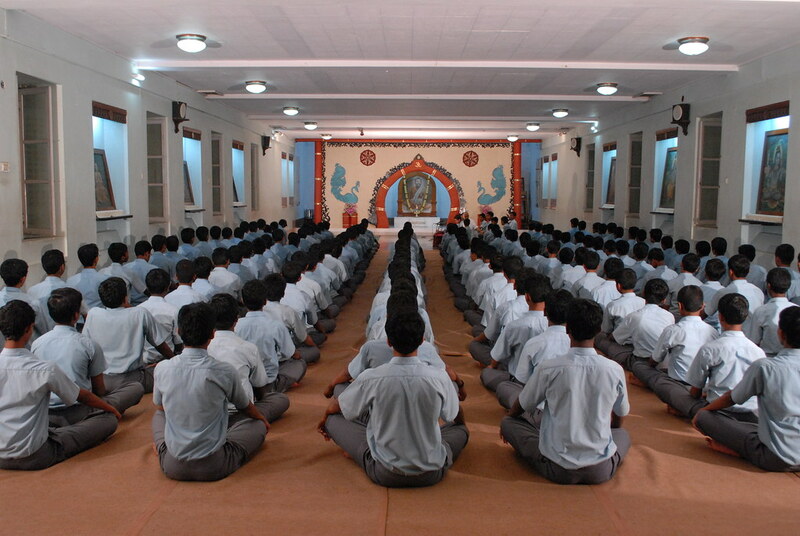 A residential higher secondary school with 425 students. 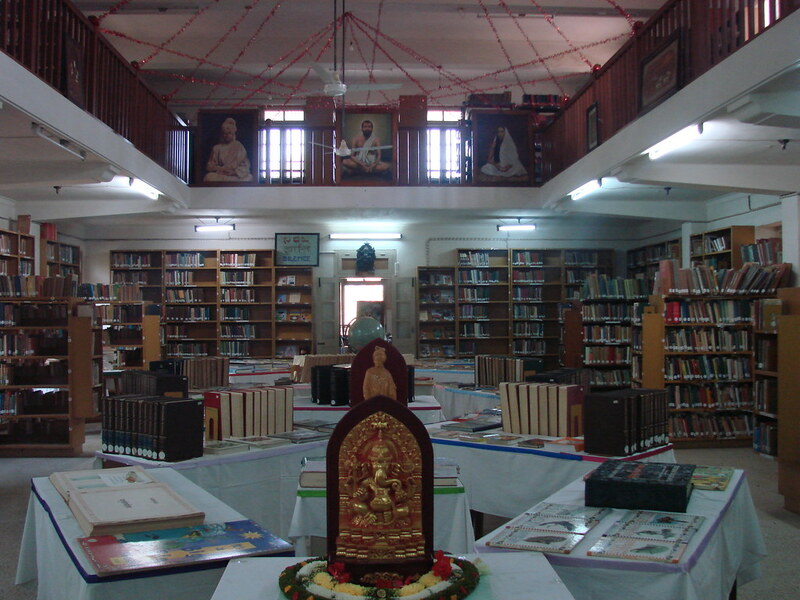 A library with 20,806 books. 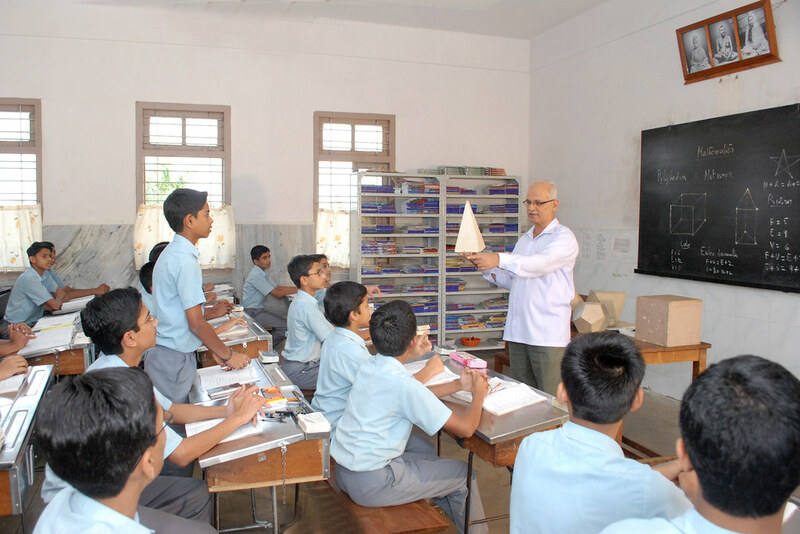 An astronomical observatory with a computerized telescope. 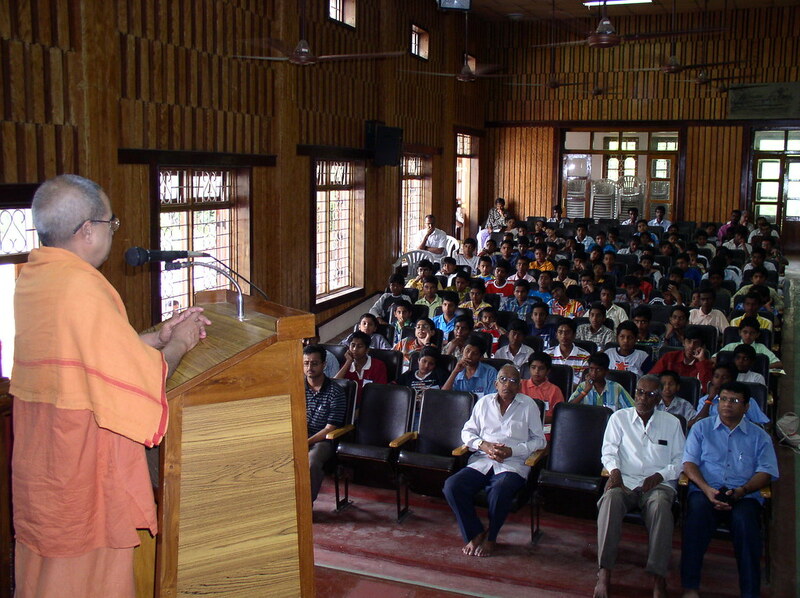 An auditorium with 500 seats and a prayer hall to accommodate 400 students. 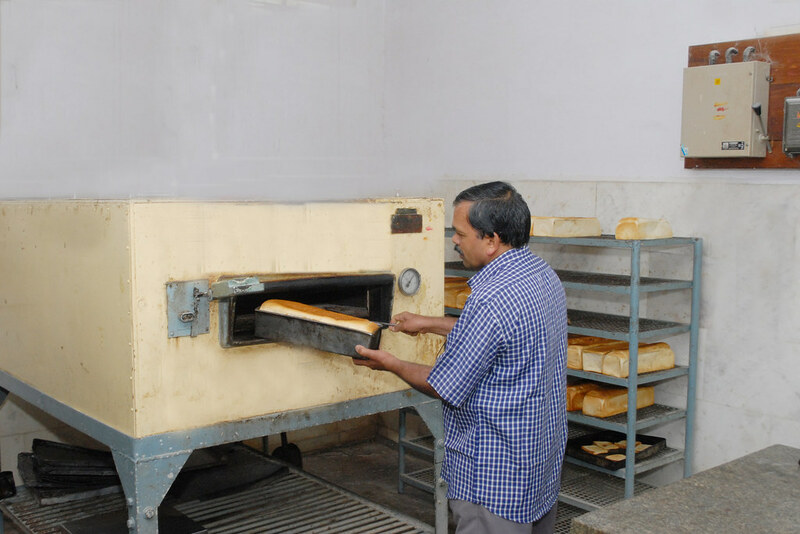 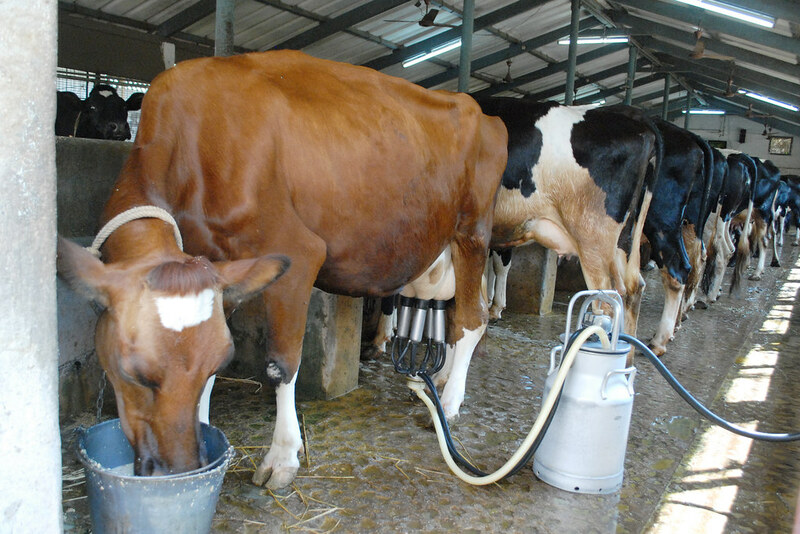 A bakery and a dairy. 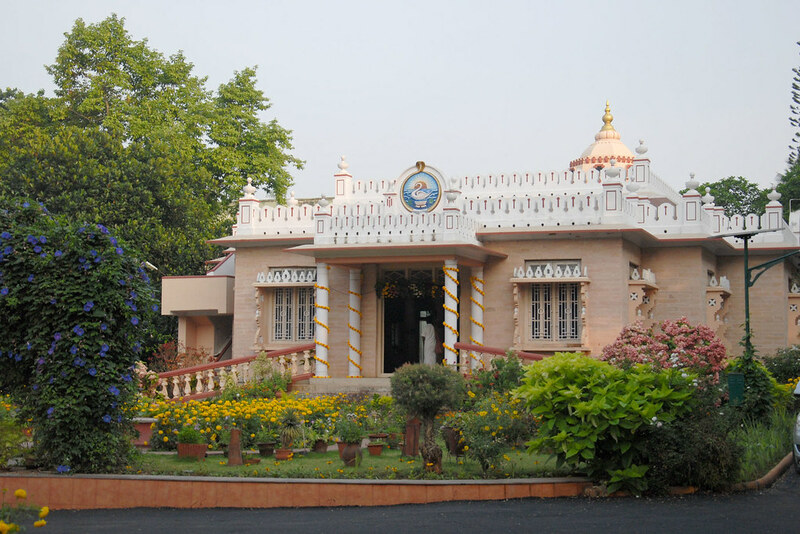 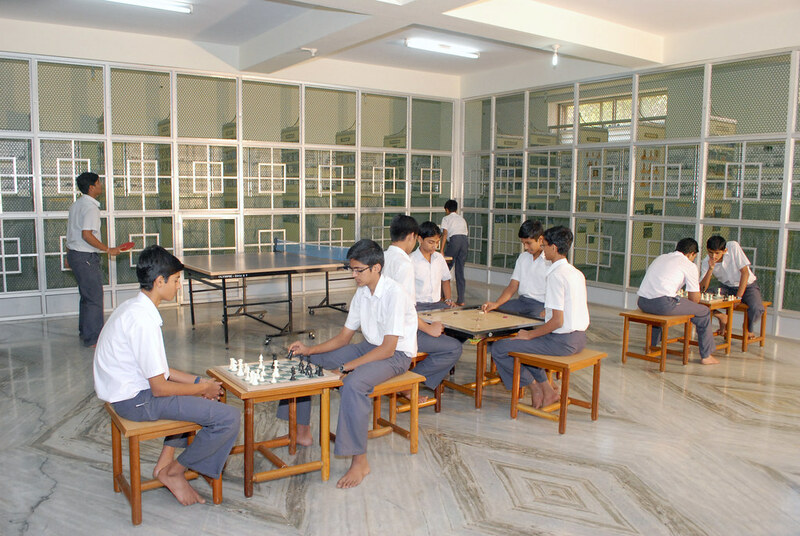 RIMSE: The Ramakrishna Institute of Moral and Spiritual Education (RIMSE) is housed in an impressive and commodious building. 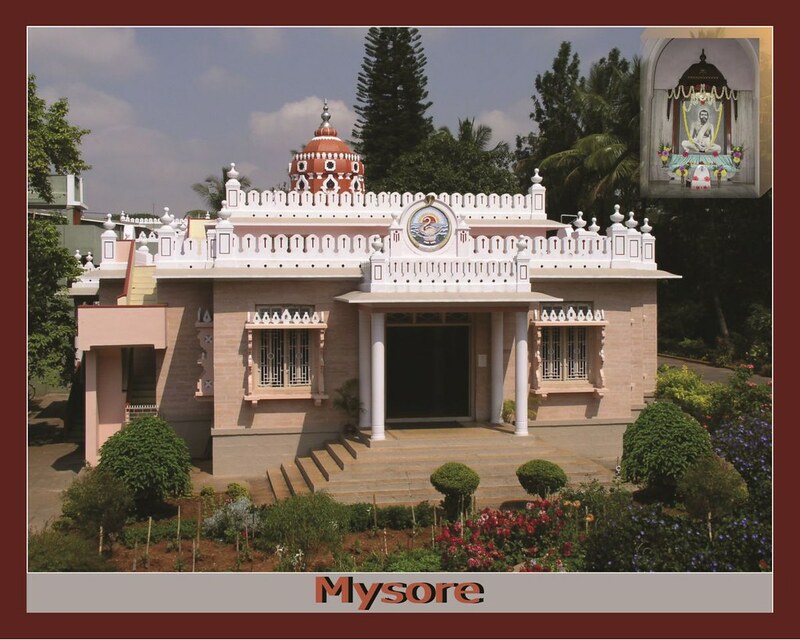 A special feature of the Institute is its beautiful temple with a tall gopuram. 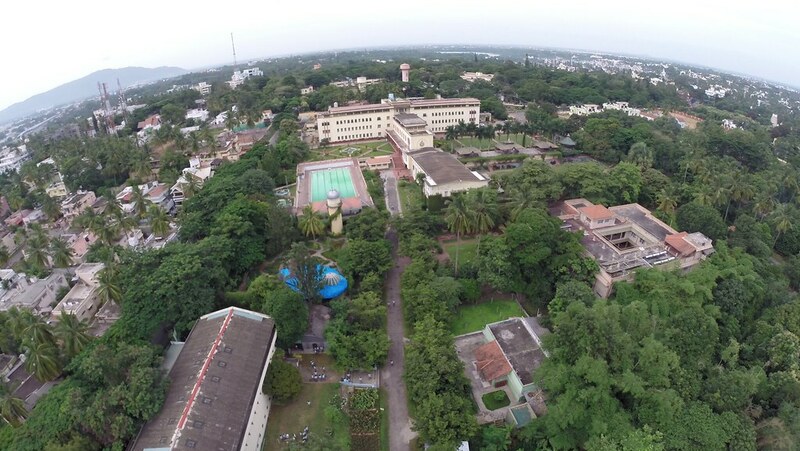 Two-year Ed. 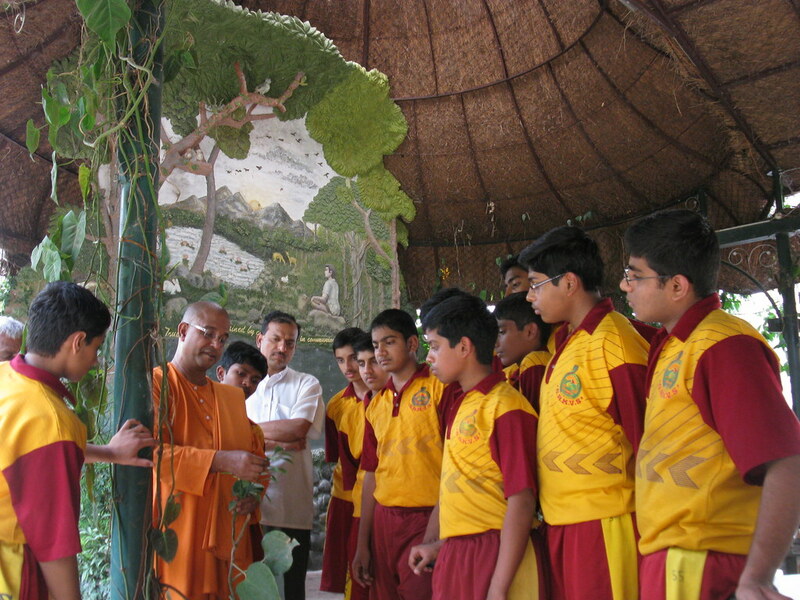 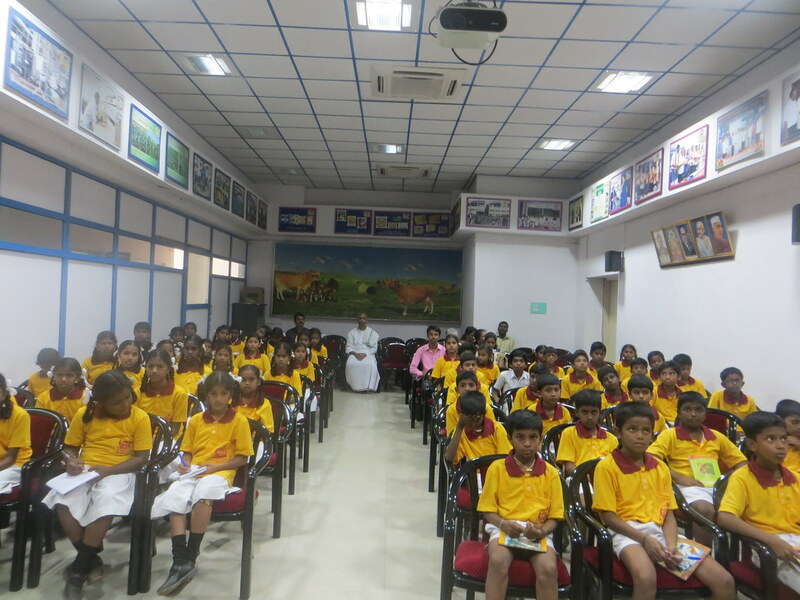 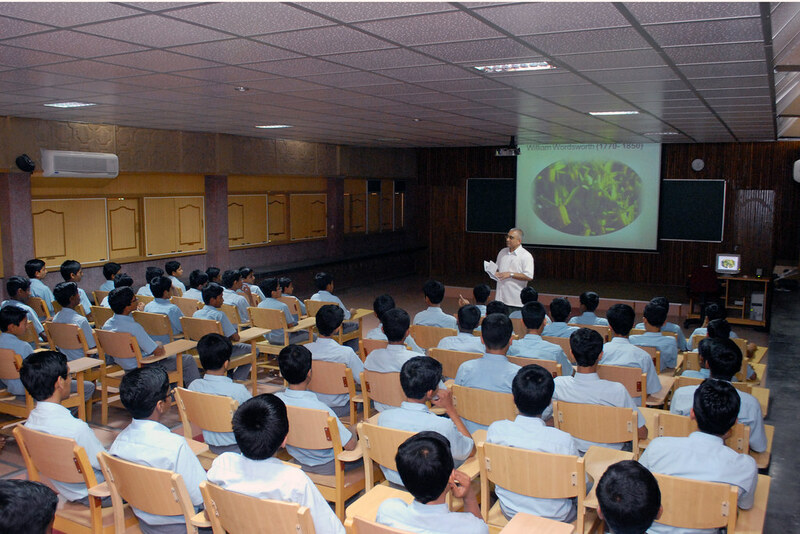 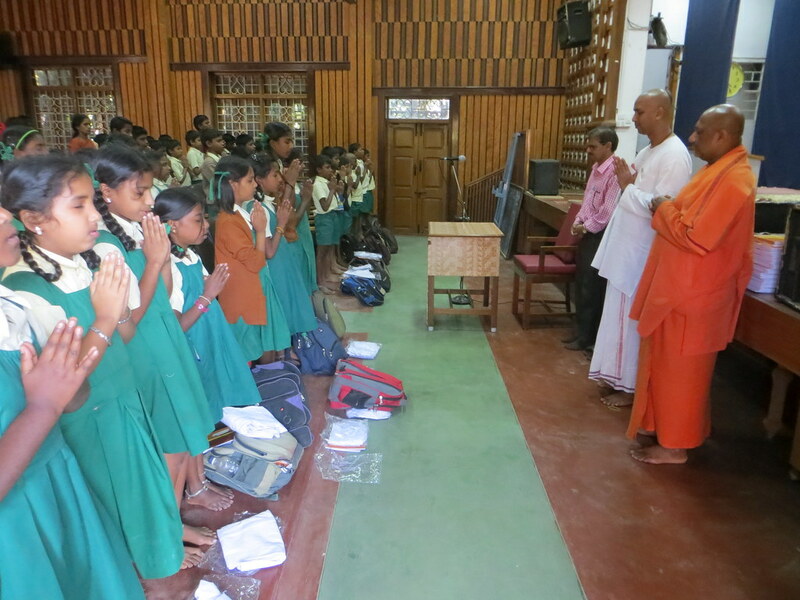 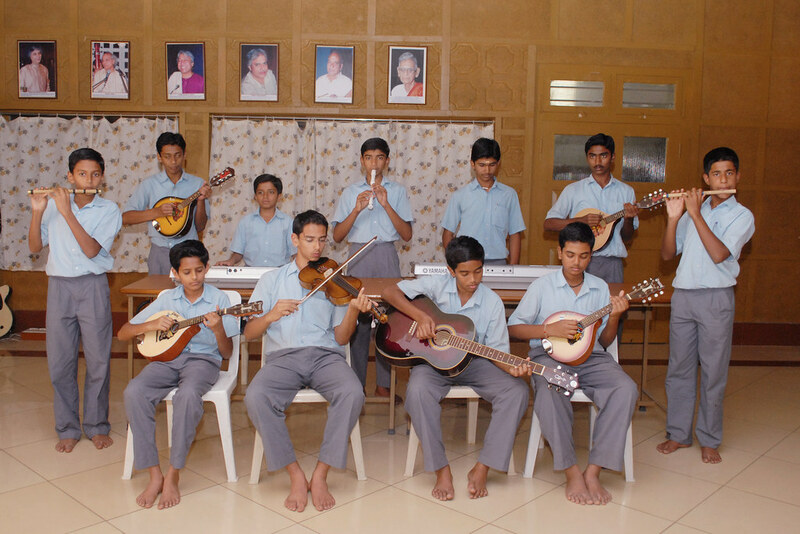 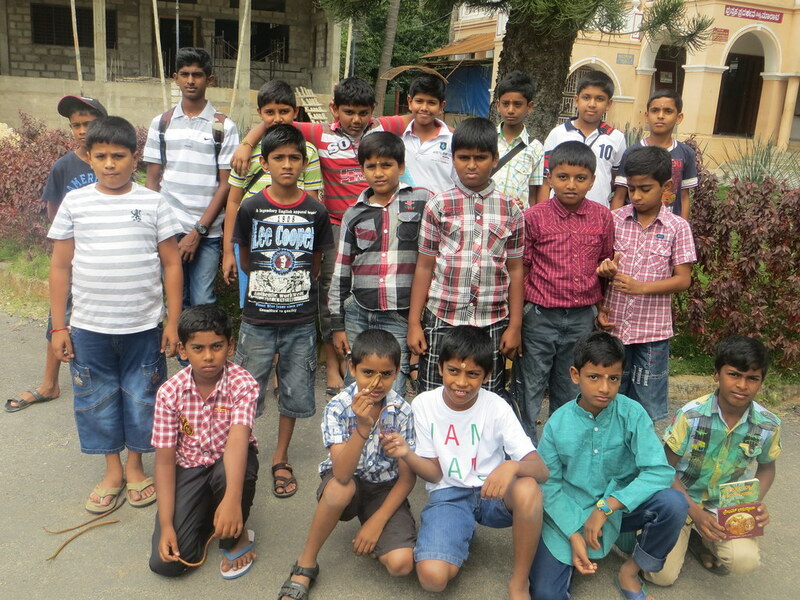 course, with moral and spiritual education as one of the compulsory subjects, (30 students – all residential). 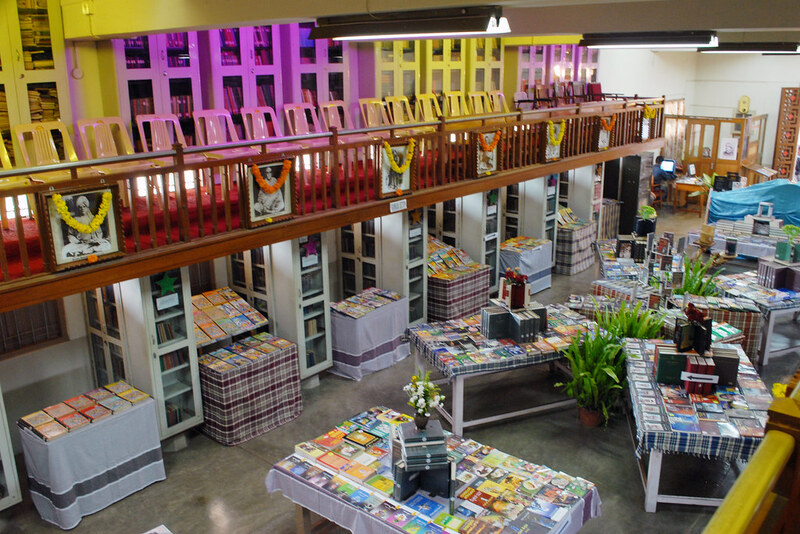 A well-equipped library with 30,669 books. 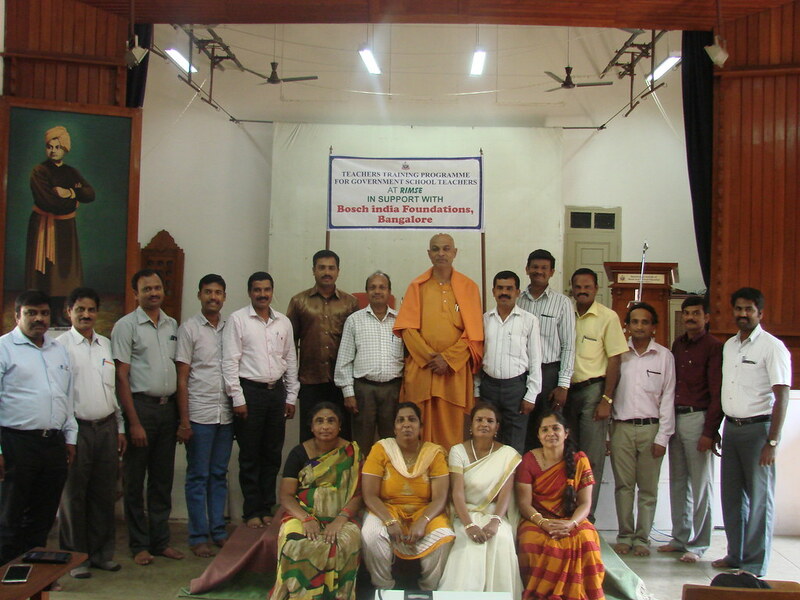 Short-term values education courses for teachers and values orientation workshops for industrial workers and management staff. 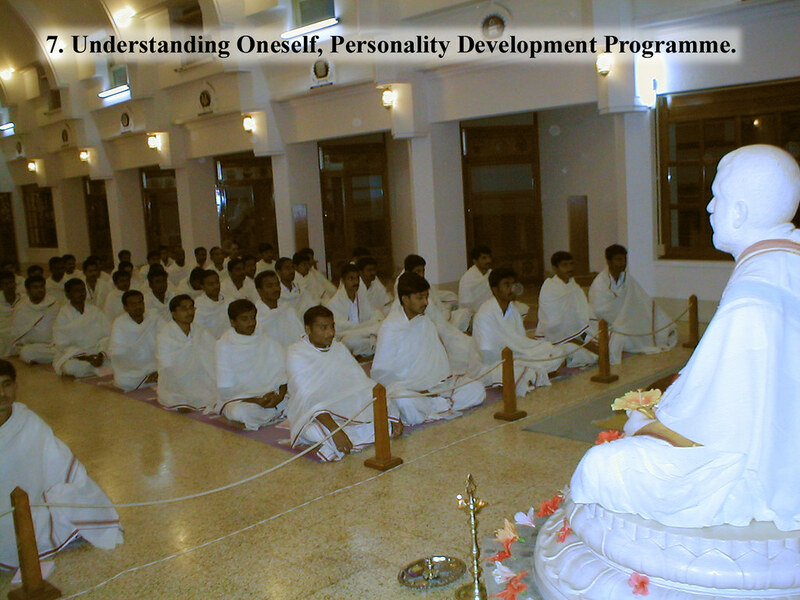 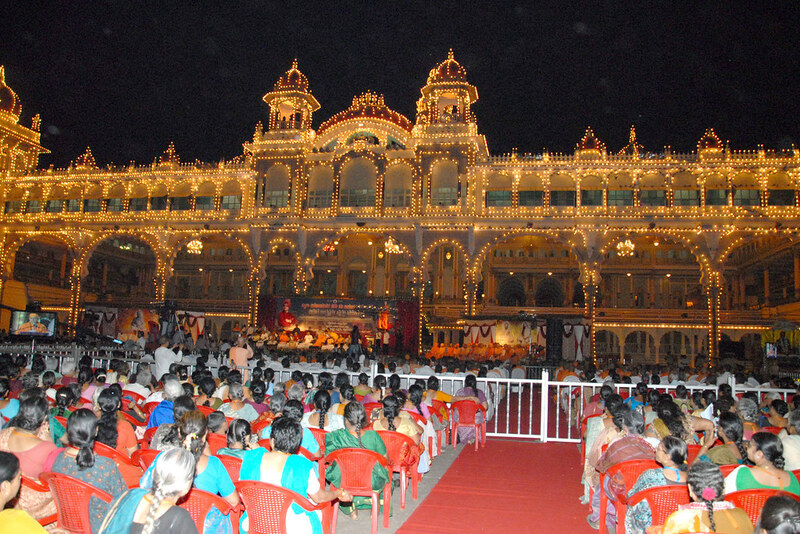 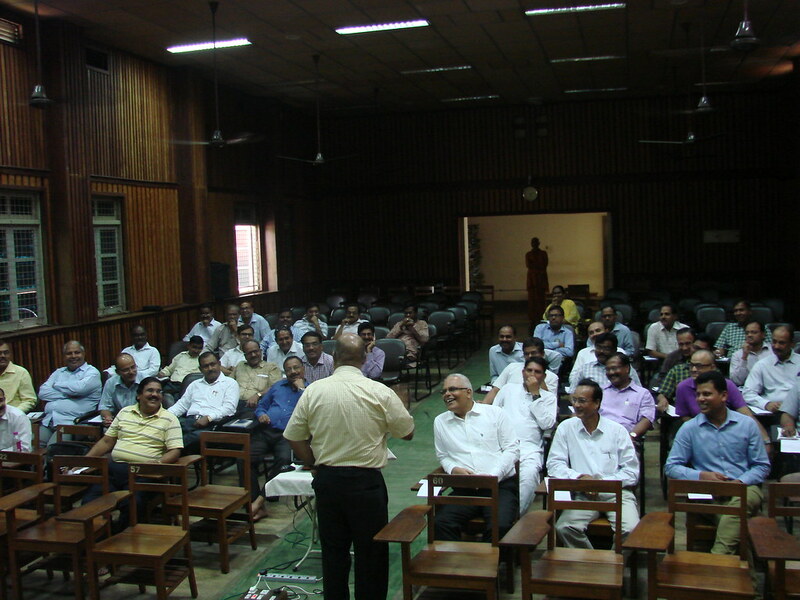 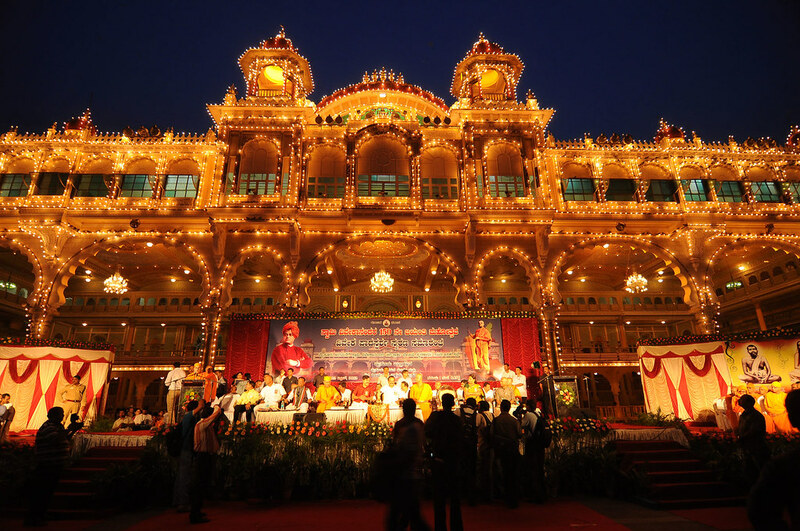 Classes on Bhagavad Gita, Upanishads, Bhagavata, etc for the benefit of general public.